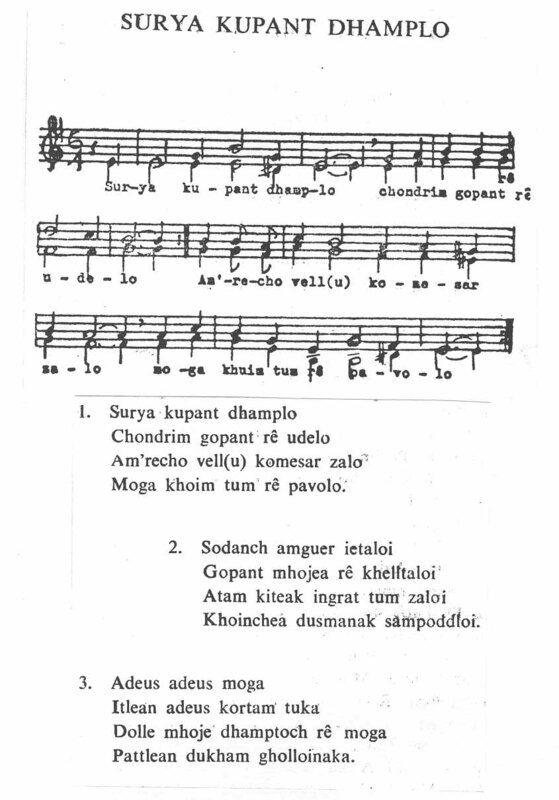 Aiz hem pustok “Goenchem Git” uzvaddak kaddunk amkam vhodd sontos ani obhinam bhogta. 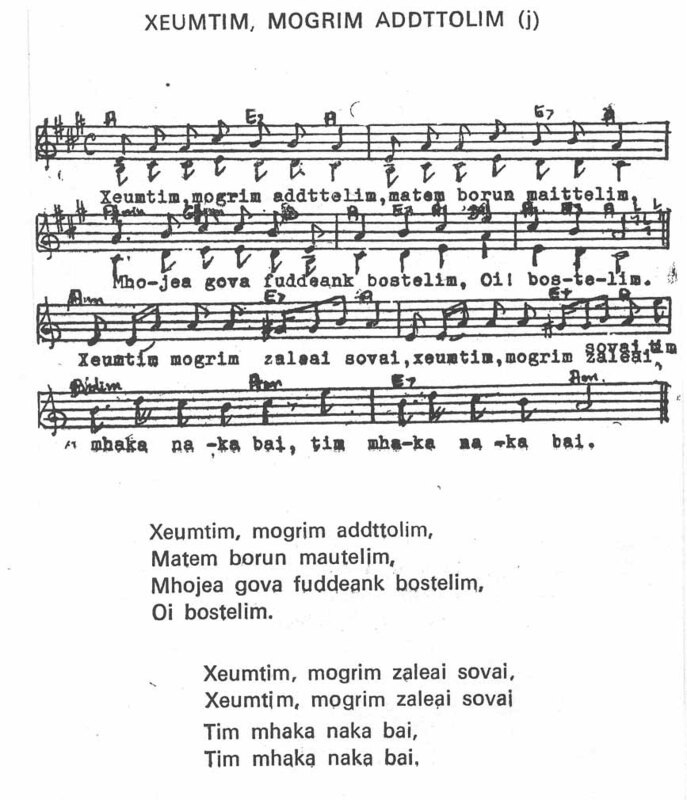 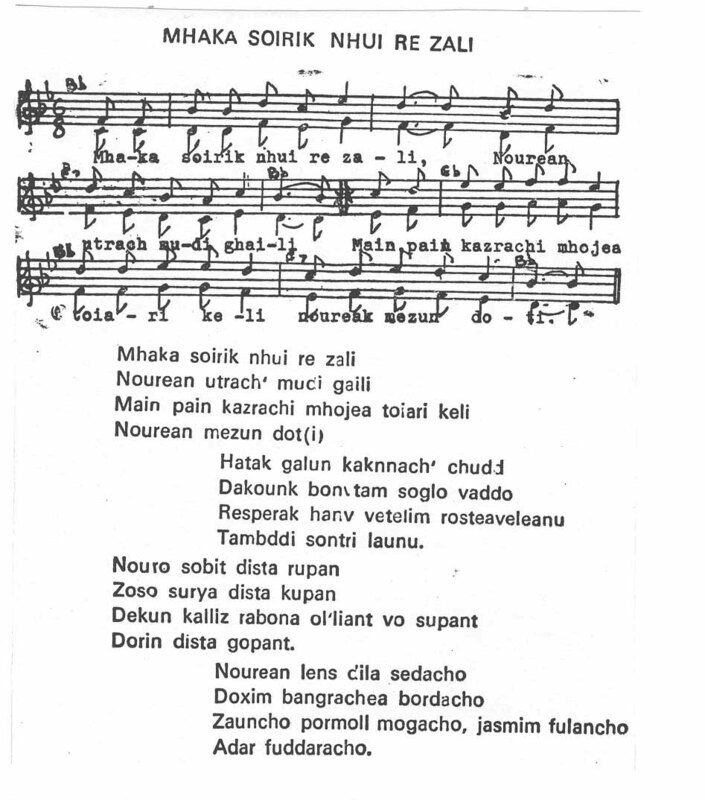 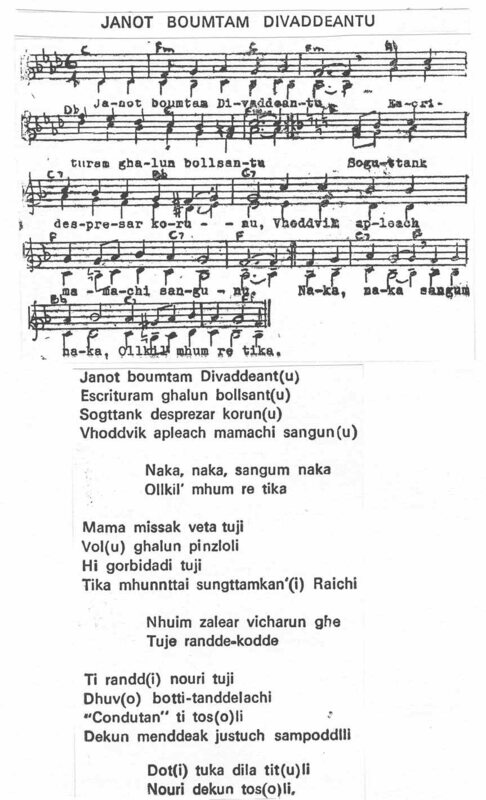 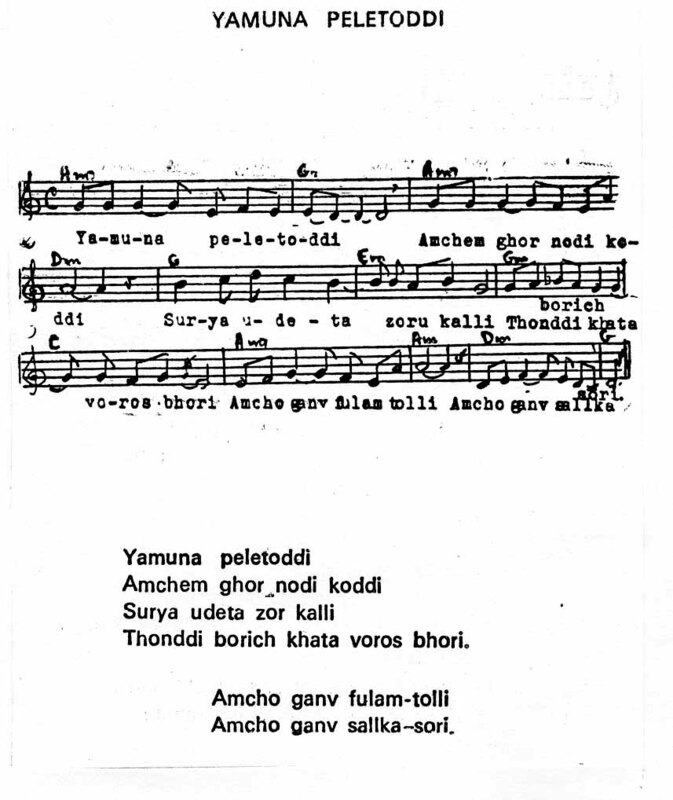 Ami rauntav Konkani Bhas uloitole ani ti apli Maim-bhas mhunn manum ghetele hem pustok khoxalkaien vapuddtole mhunn. 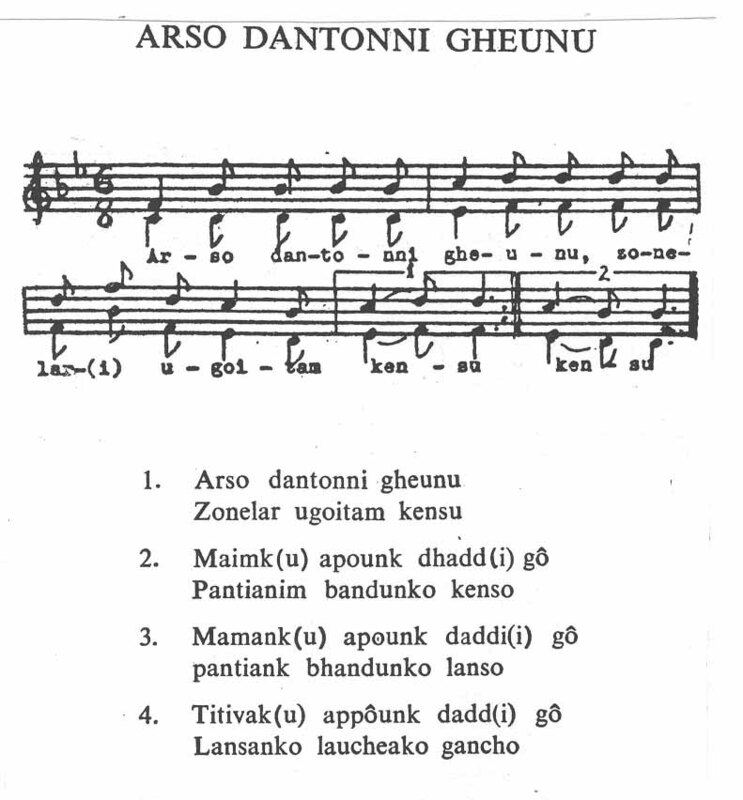 Professor Lourdinho Barreto permitted me (verbally) to publish this anthology of deknnis, dulpods and mandos in this form during a meeting in his office at the Kala Akademi in Panaji, Goa. 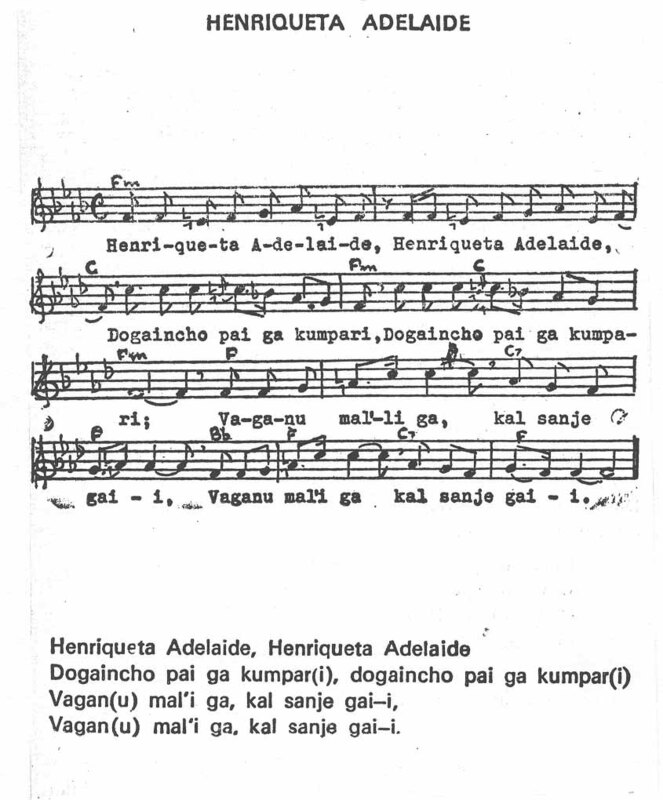 I would be only too happy if these songs are sung and find world wide circulation. 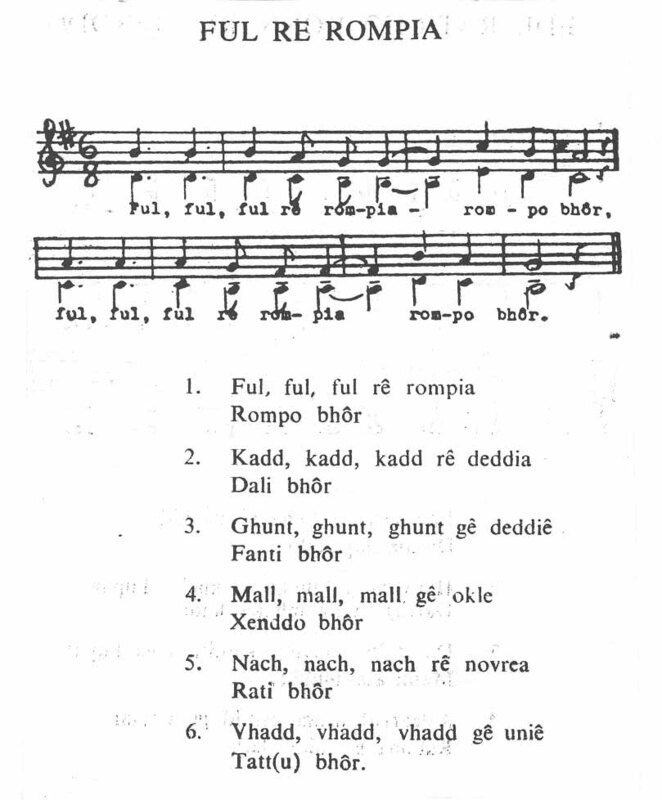 The translation of them is to be found in the links “Deknni”, “Dulpod” and “Mando”. 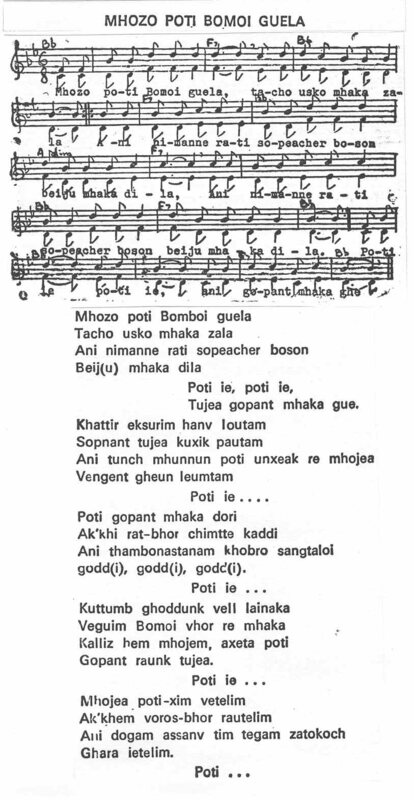 The plural of deknni in Konkani remains the same, that of dulpod is dulpodam and that of manddo is mandde. 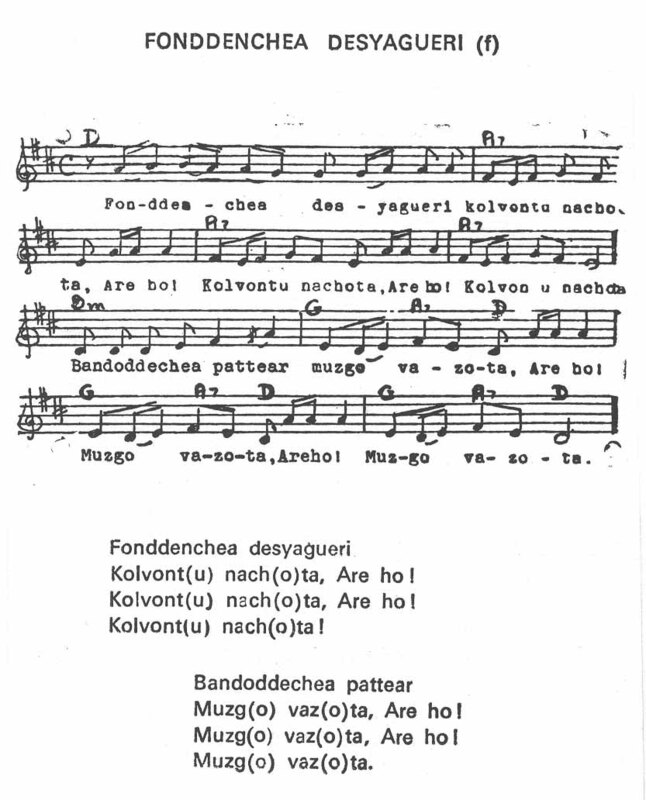 In English it is deknnis and dulpods in the plural, mando in the singular and mandos in the plural. 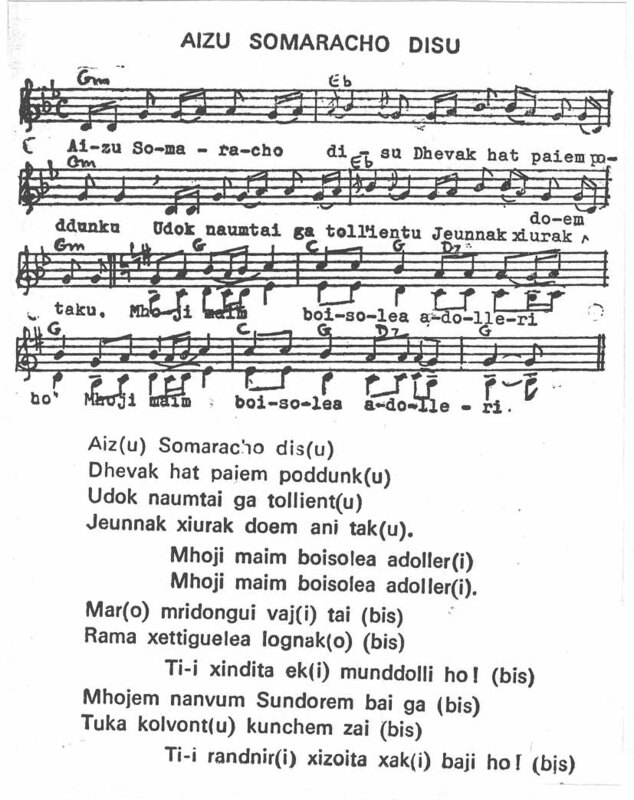 The mando is Goa´s message to a disturbed world in a hurry. 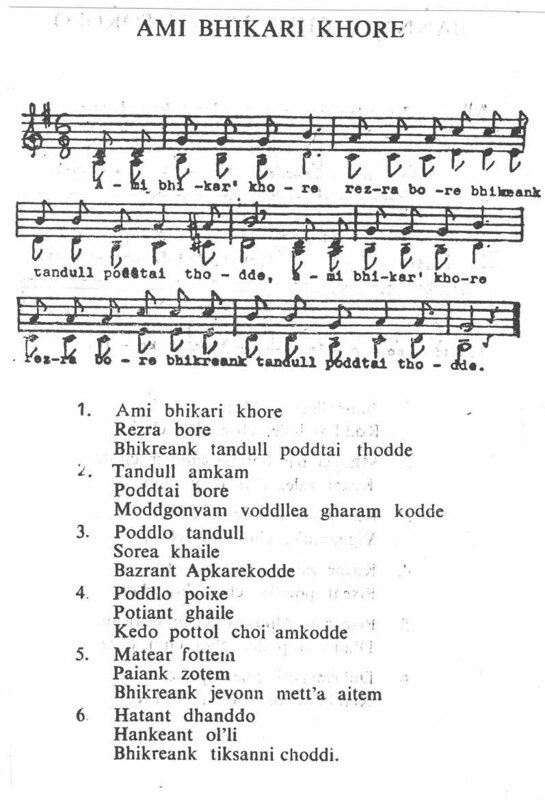 Editorial date: 23rd October, 2006. 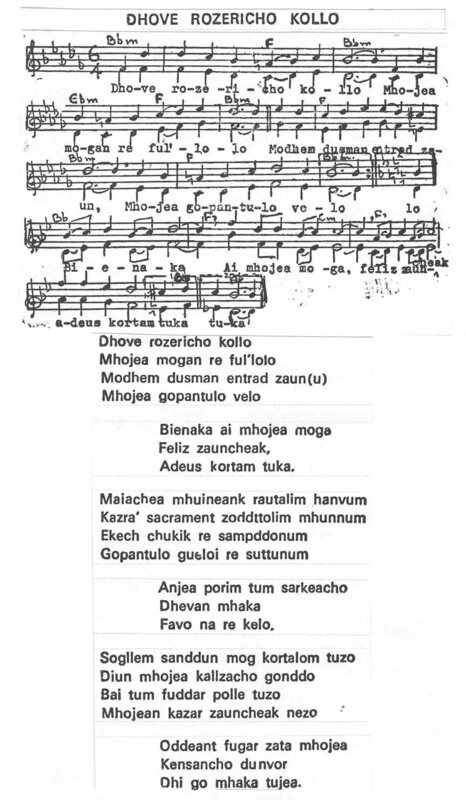 I received your letter dated 02.06.2005 seeking data for a biography of late Maestro Lourdino Barreto and it is my pleasure to furnish you the following information. 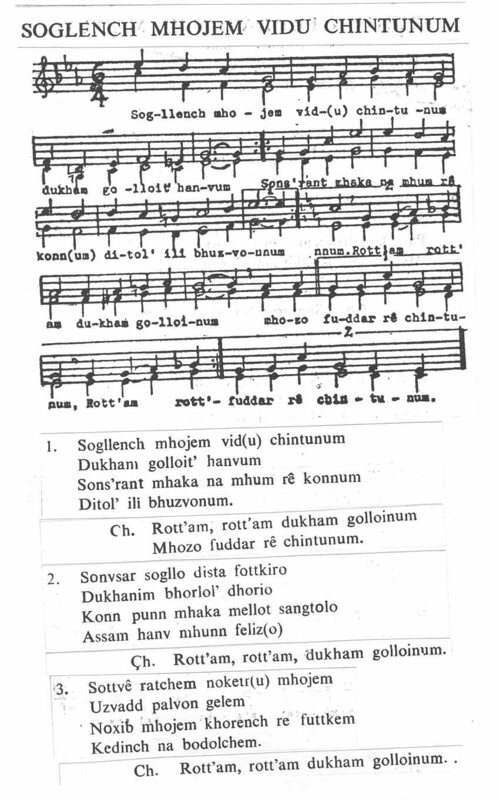 This information has been gathered from our records in the Curia and by kind courtesy of Rev. 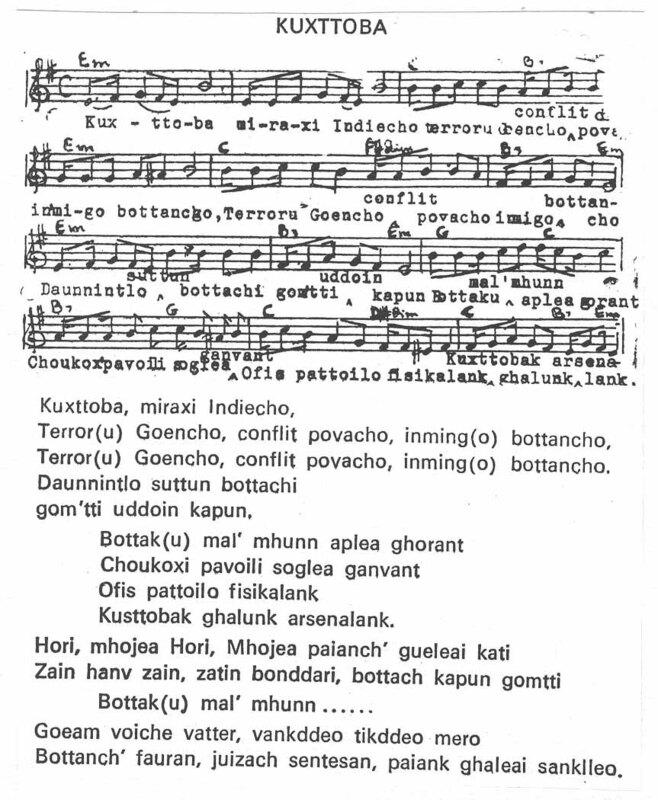 Aleixo Menezes. 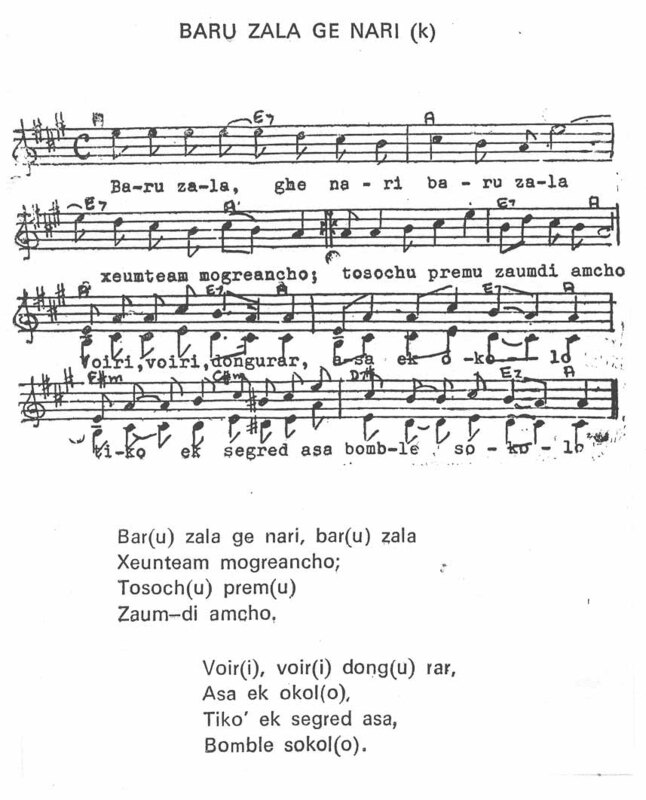 Maestro Paulo Lourdino Barreto was born on February 11, 1938 in the village of Galgibaga, Taluka of Canacona Goa. 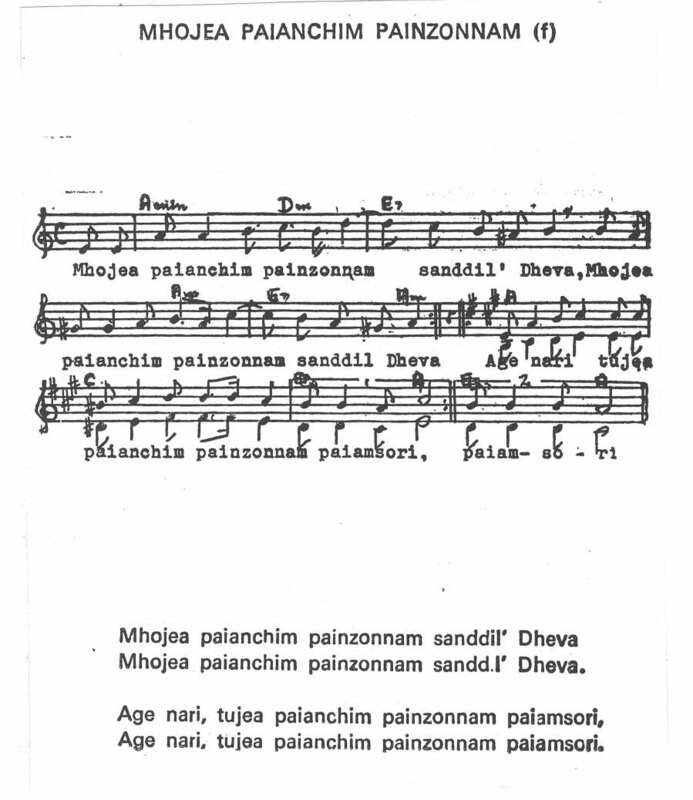 He was ordained a Priest at the Bom Jesus Basilica, Old Goa on April 24, 1963. 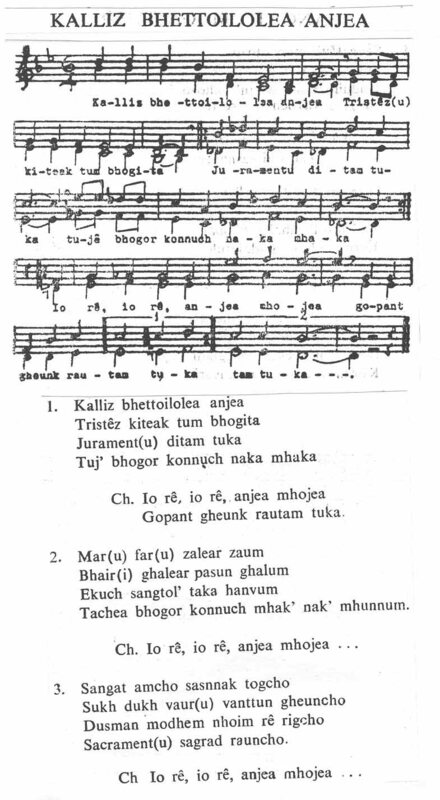 His musical studies began at the Parochial School, in Galgibaga and he pursued it further at the Seminary of Our Lady, Saligão Goa, under Fr. 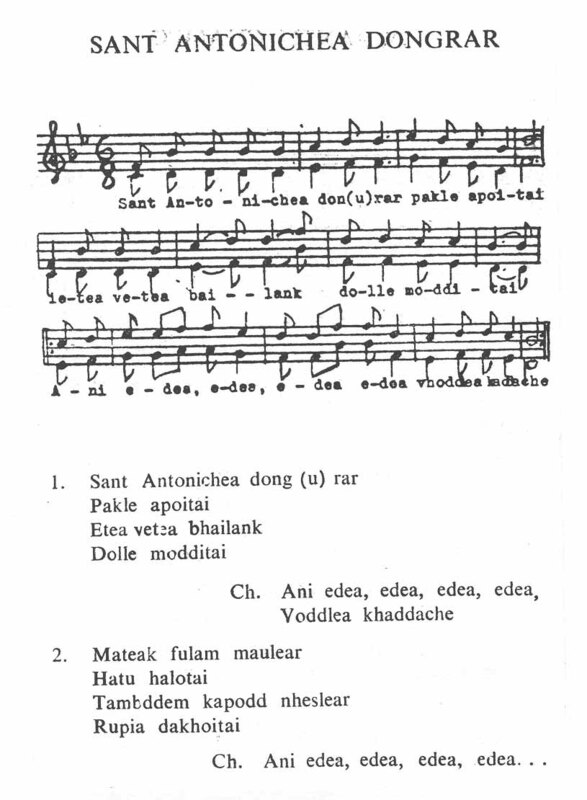 João Baptista Viegas, at the Patriarchal Seminary of Rachol, Goa under Maestro Camilo Xavier. 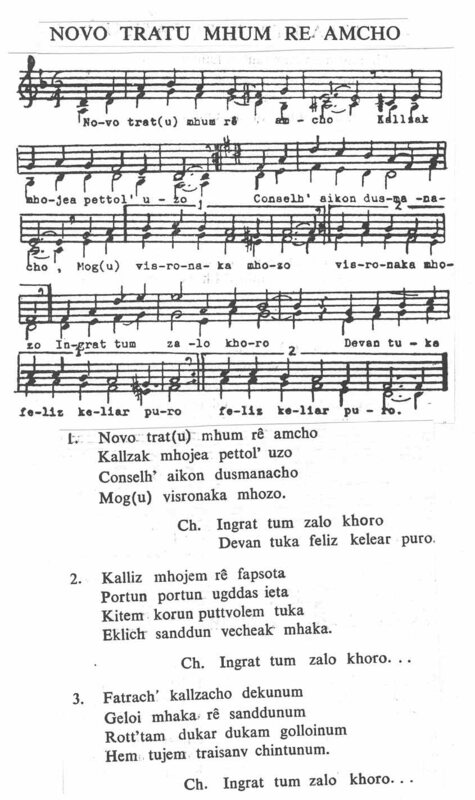 After being ordained a Priest he joined the Pontifical Institute for Sacred Music in Rome and studied under Joseph Callo SJ. 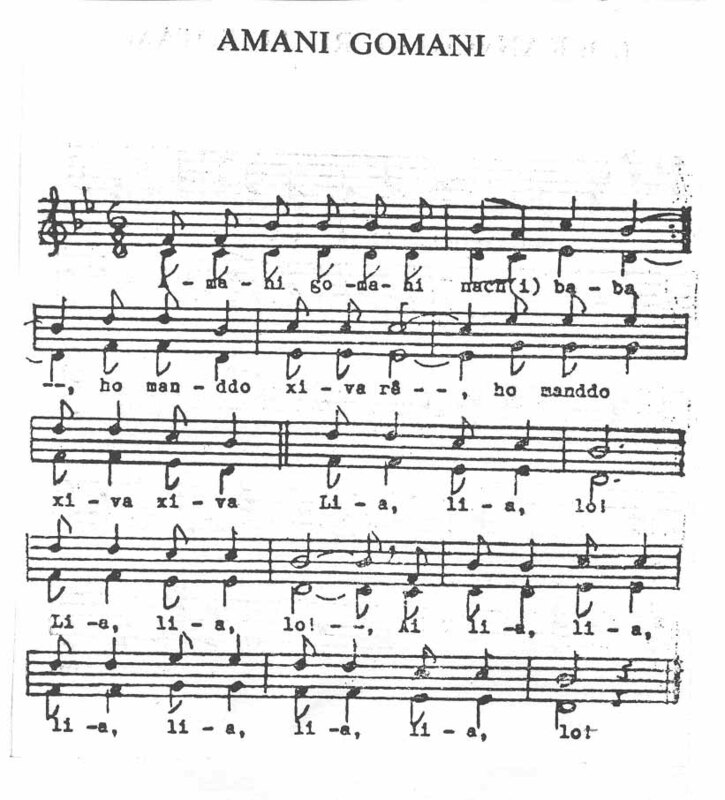 He also studied at the National Conservatoire in Rome. 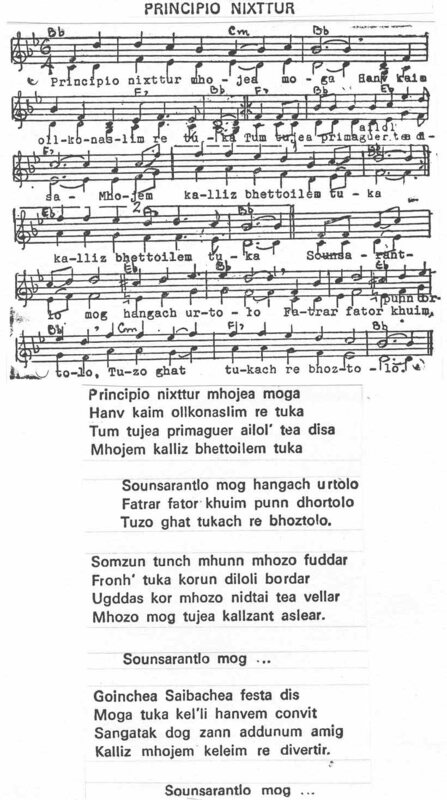 He earned the following Degrees:- Degrees in Piano, Plain Chant and Composition a Doctorate in Music (D. Mus) and the title of "Maestro". 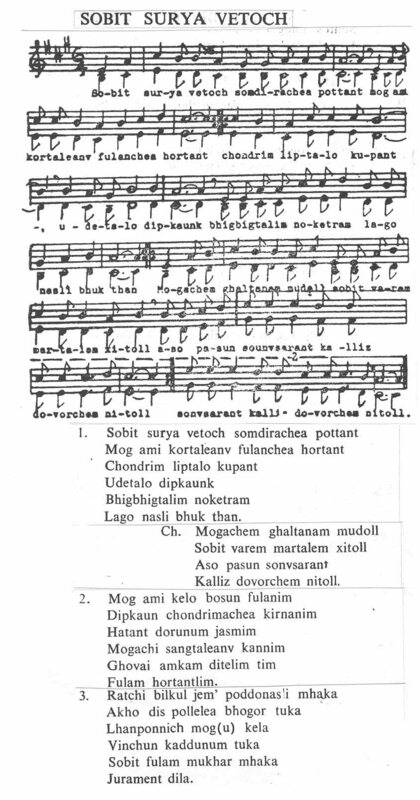 His thesis is entitled "Indian and Ancient European Music's Aesthetic Forms". 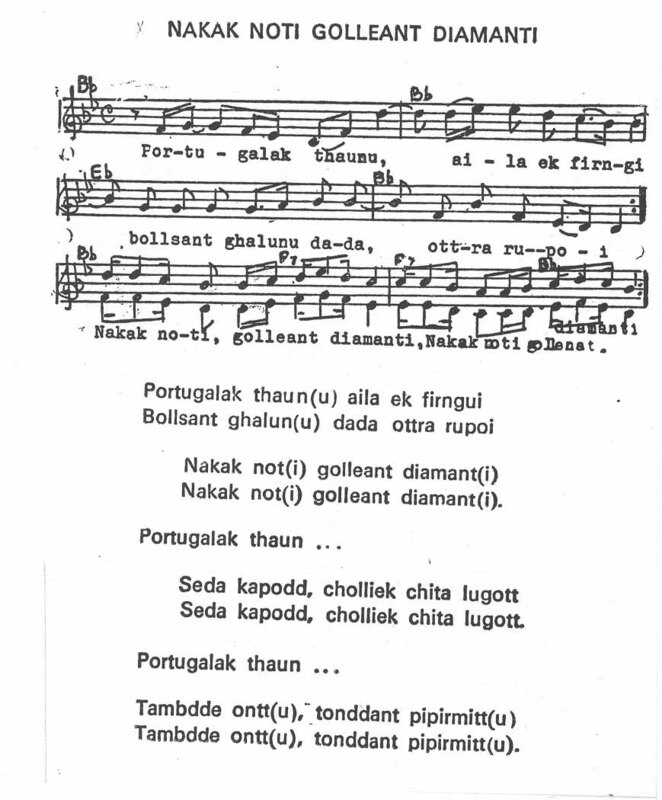 --Professor of Music at the Seminary of Our Lady, Saligão in 1968. 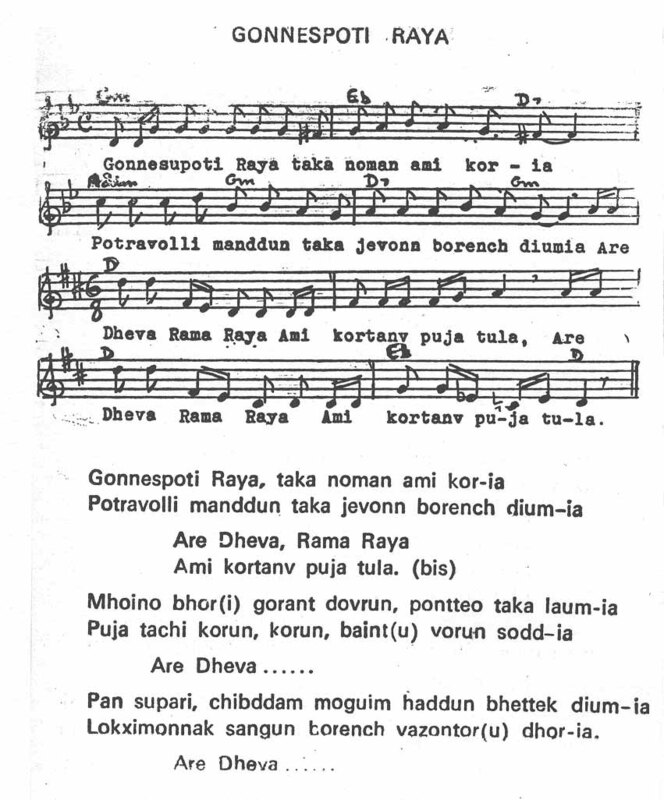 --Director of Western Music Department at Kala Academy, Goa in 1977. 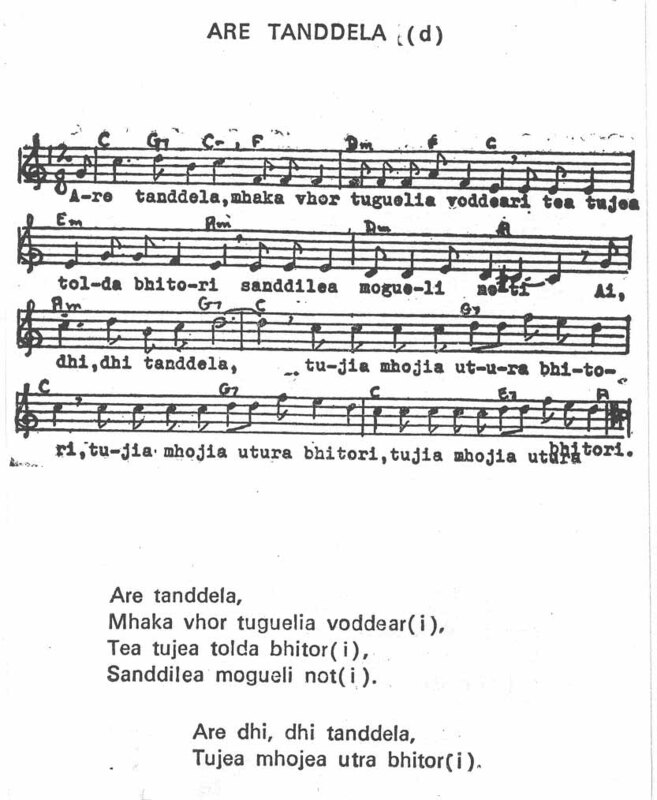 --Professor of Music at the Patriarchal Seminary of Rachol, Goa in 1982. 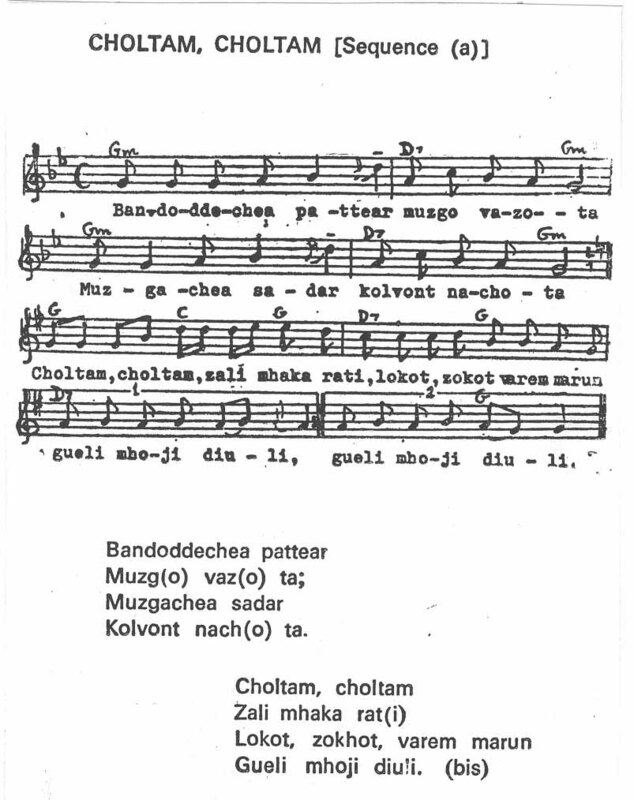 --Director of Western Music Department in Kala Academy, Goa in 1983 and continued to hold this post till death. 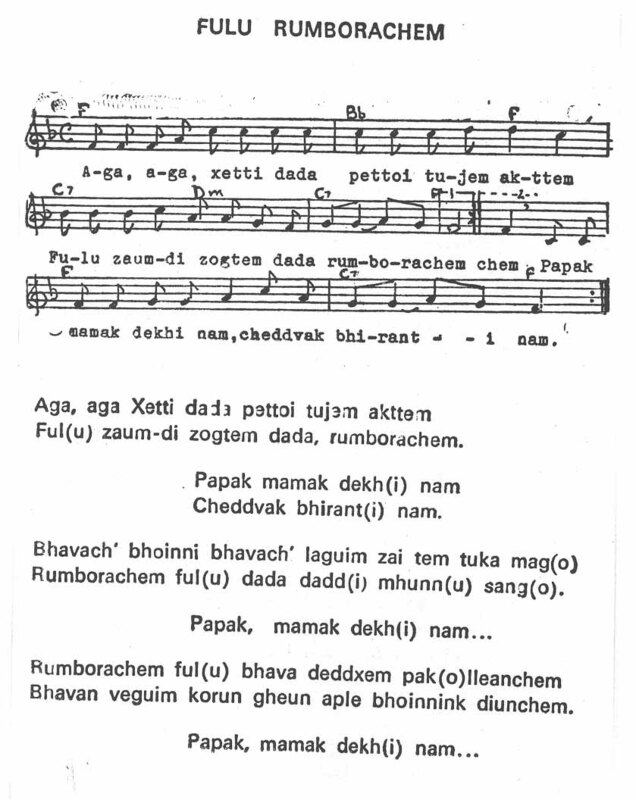 --President of Diocesan Commission of Sacred Music, Goa. 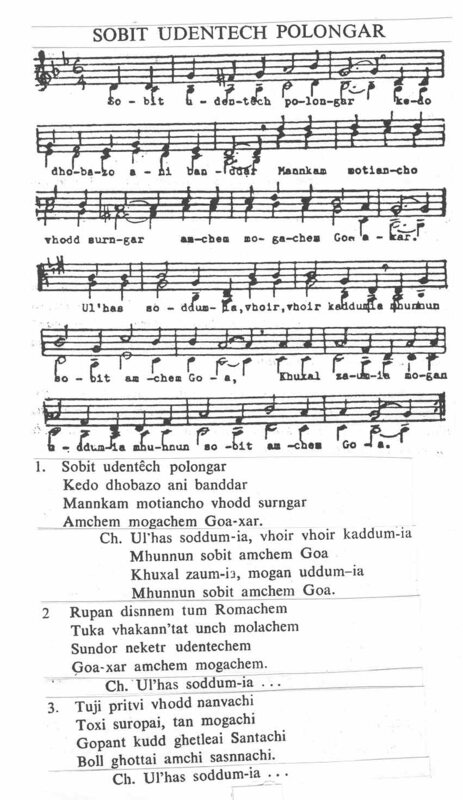 --Chairman of Board of Western Music of Goa University. 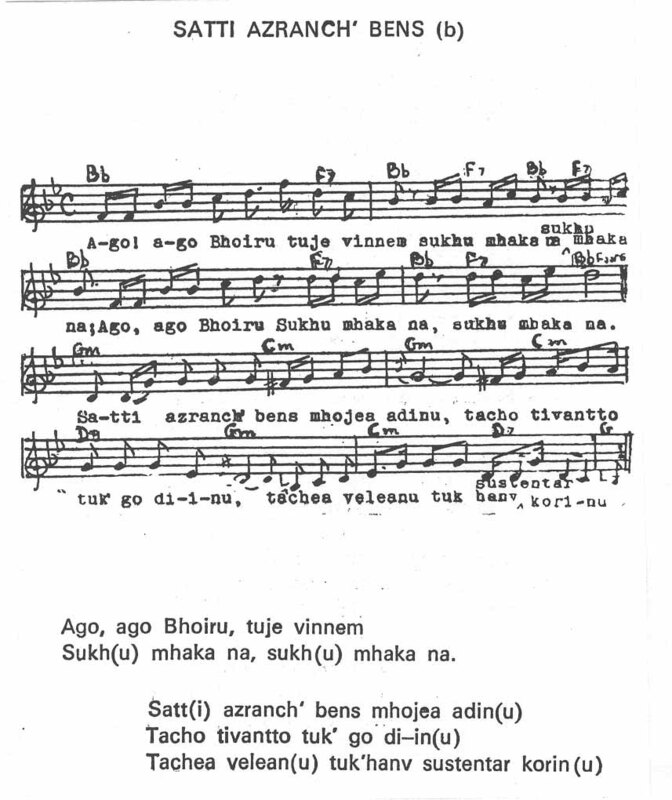 --Advisor to the Central Government of India for musical formation of military bands across the country. 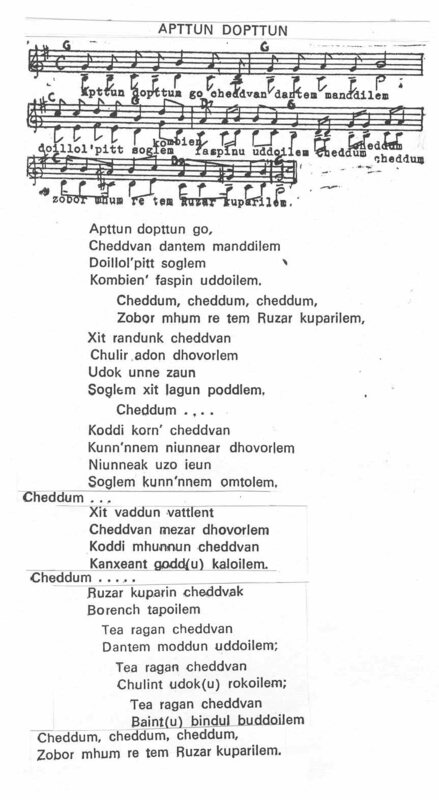 --Director of Goa Symphony Orchestra. 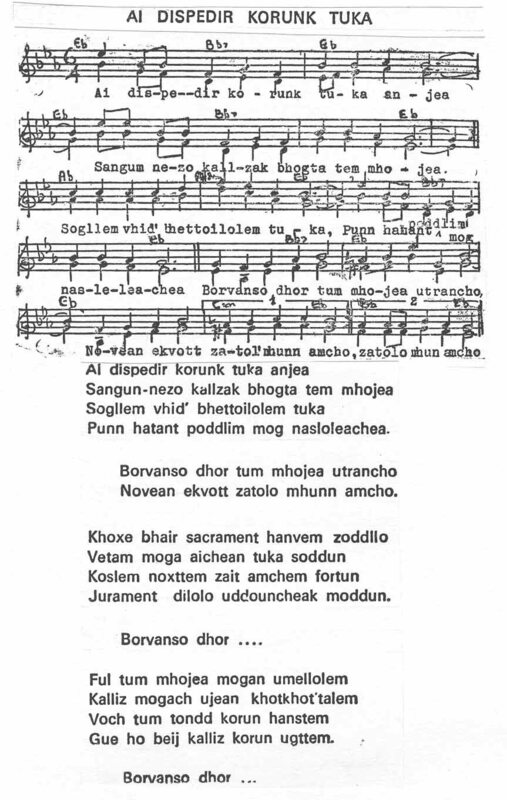 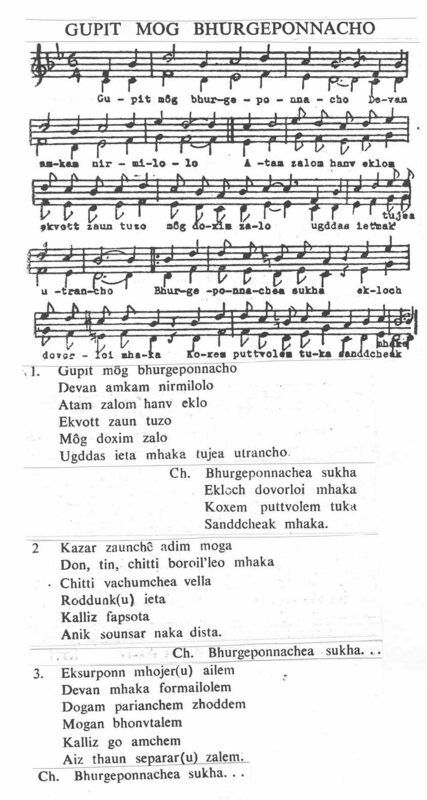 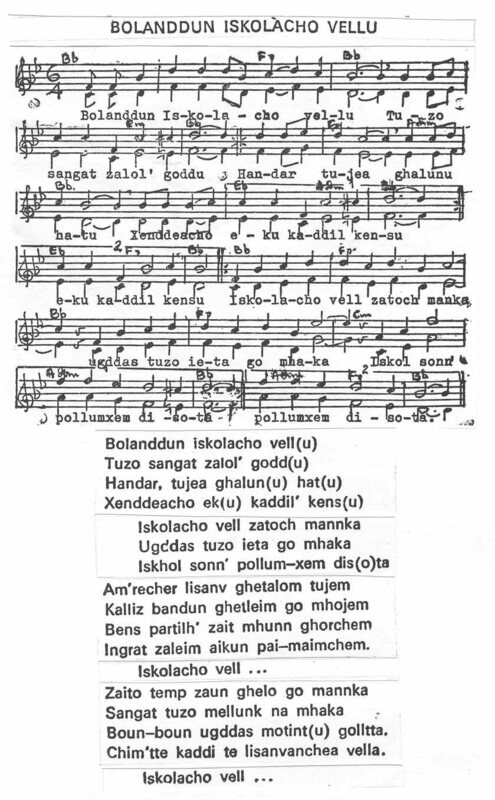 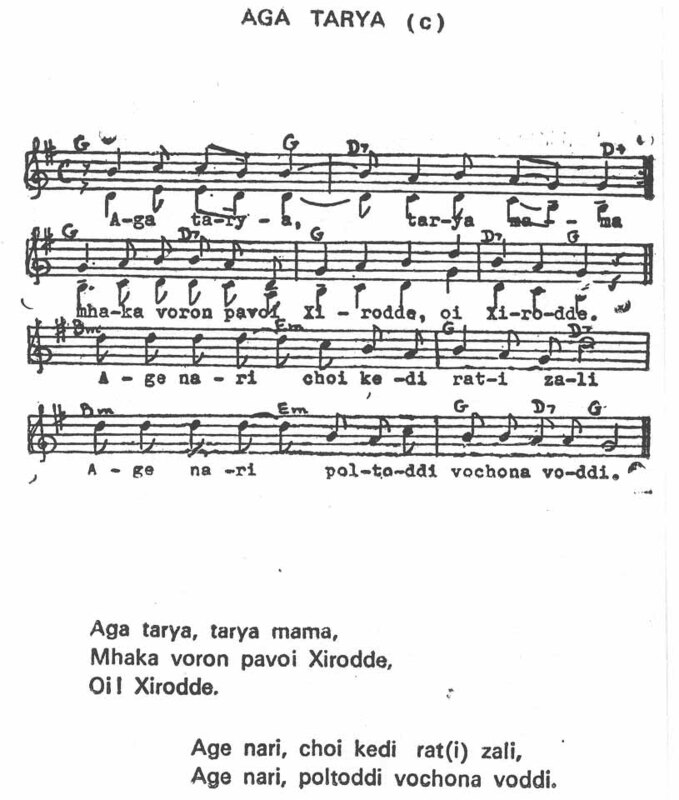 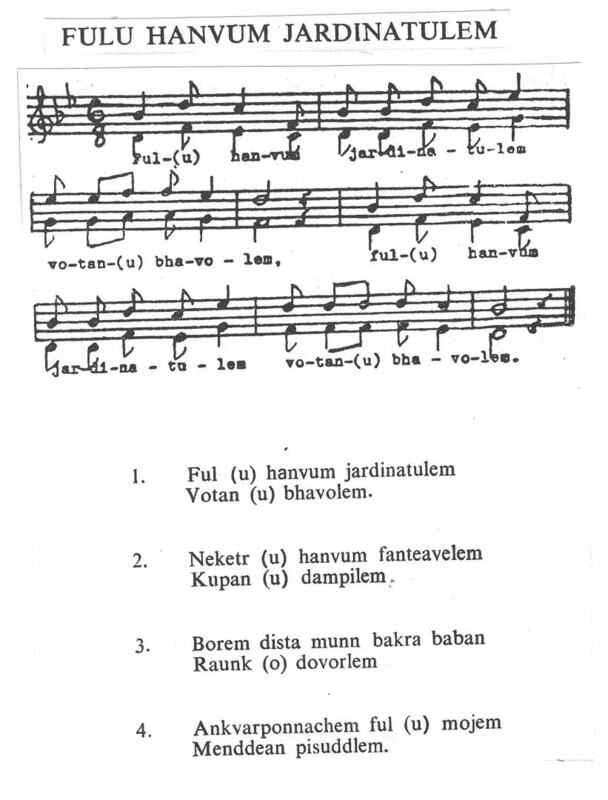 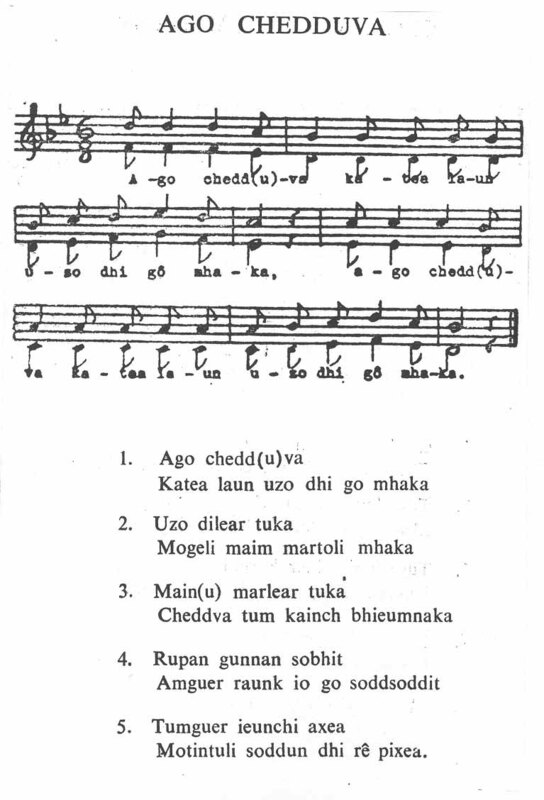 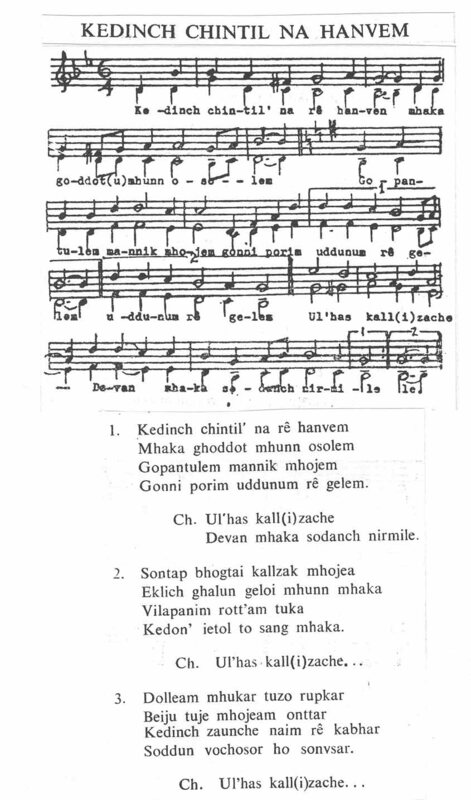 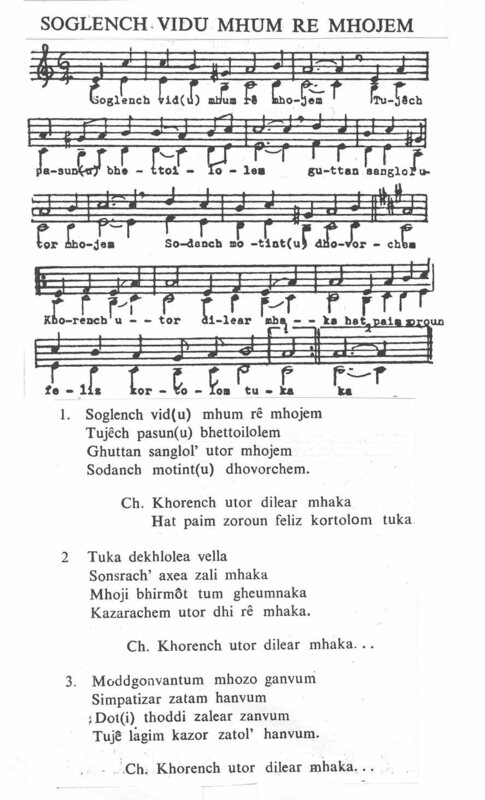 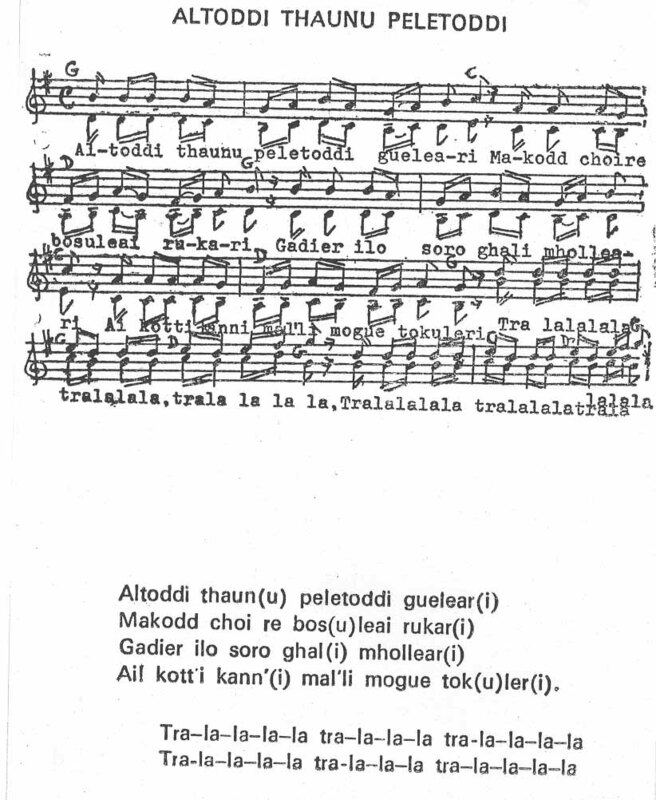 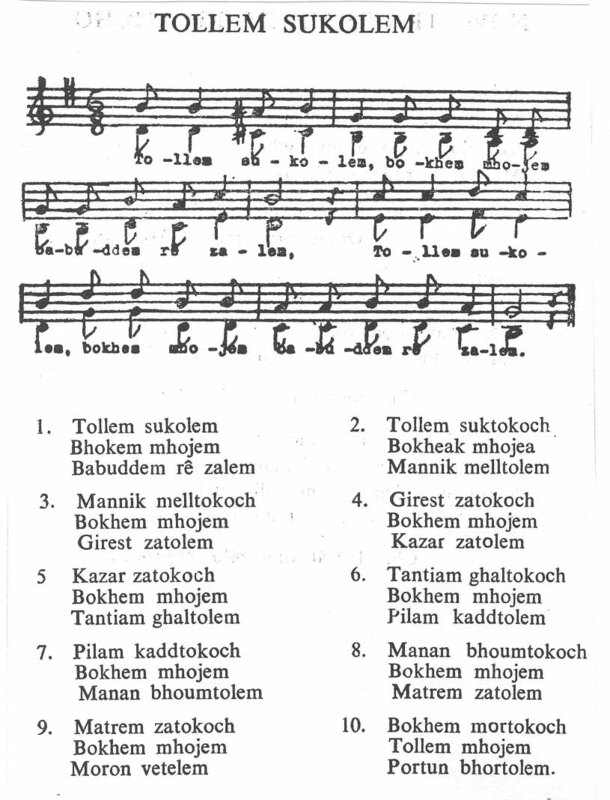 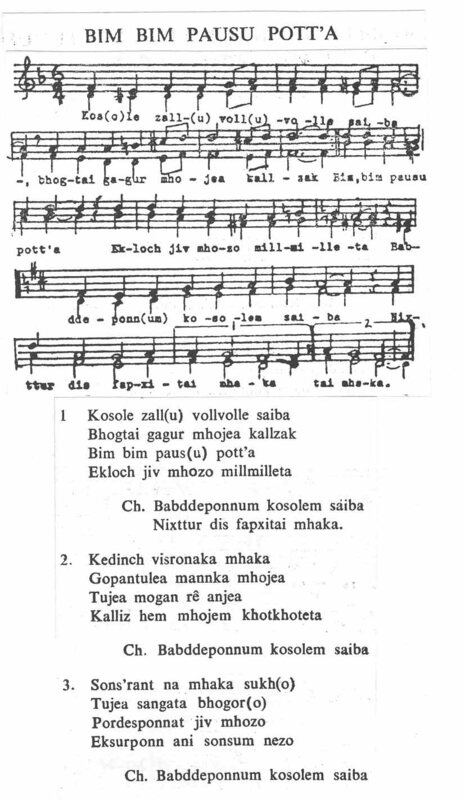 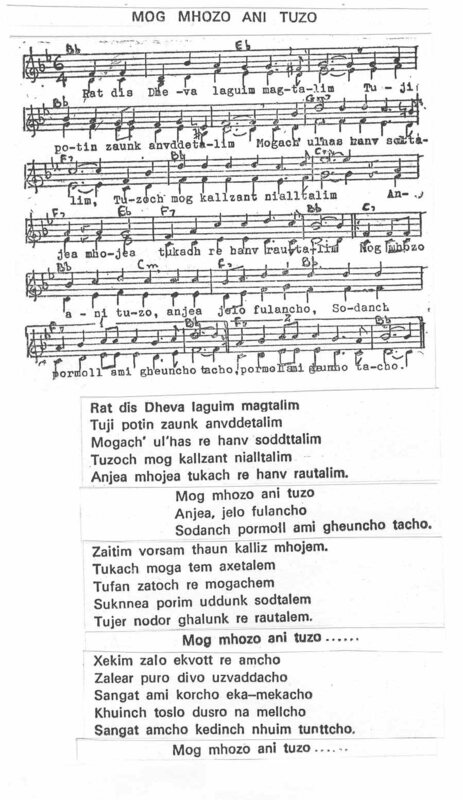 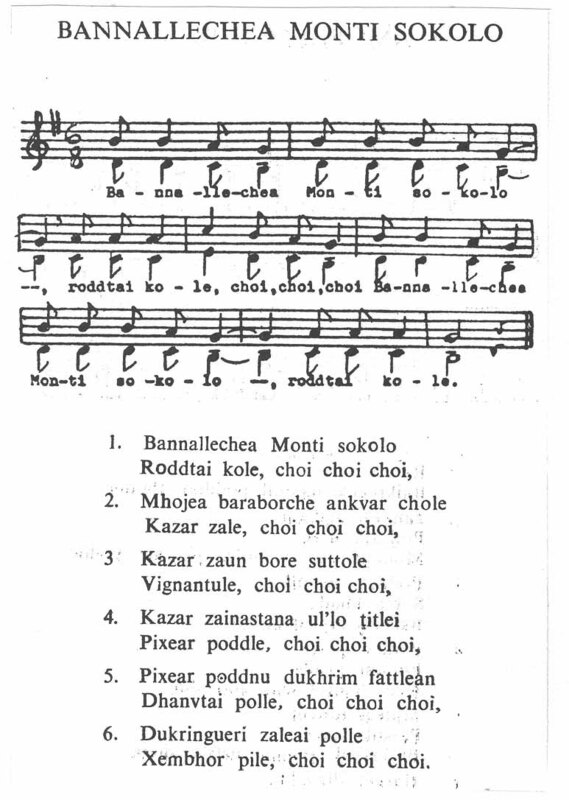 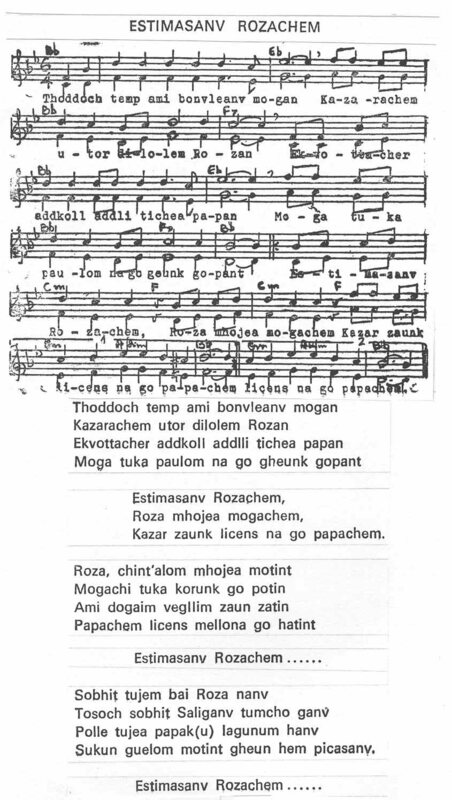 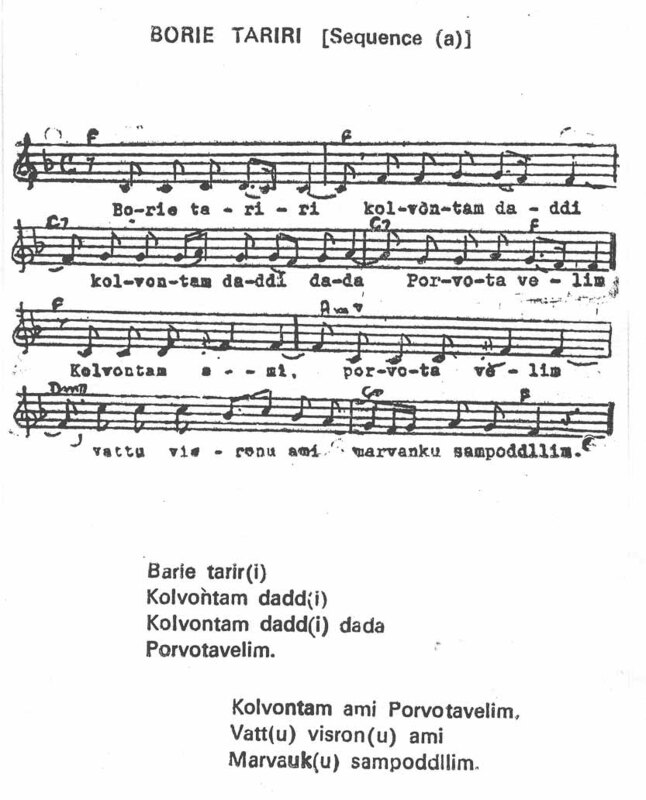 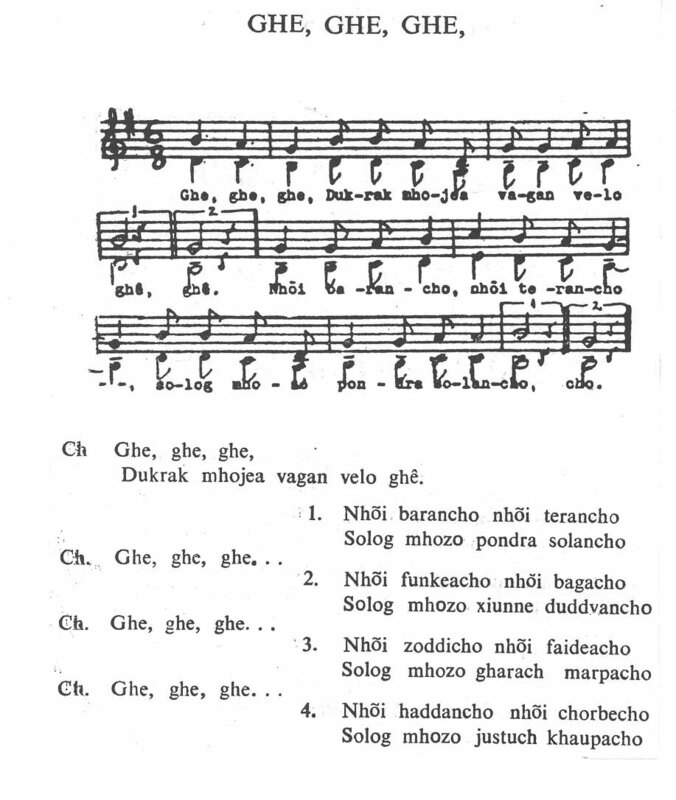 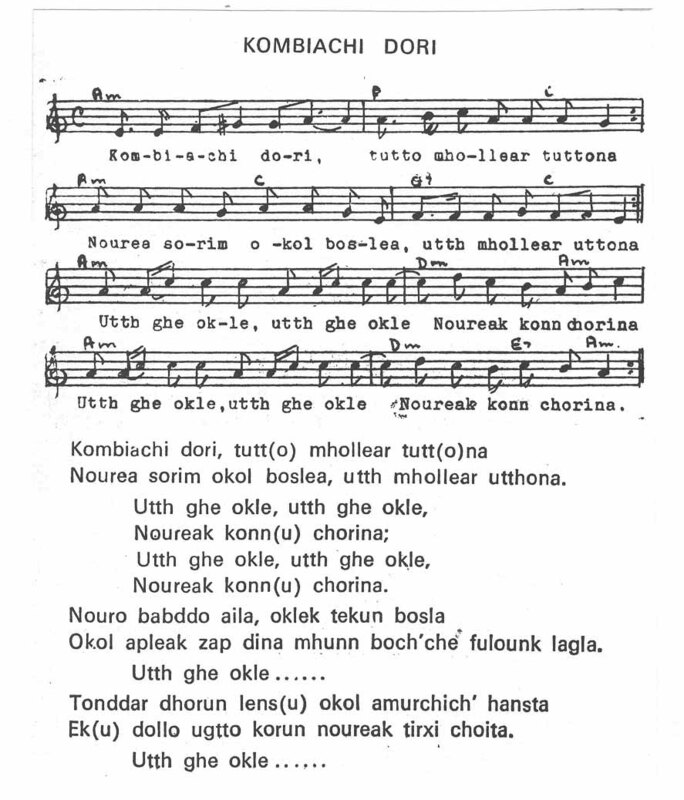 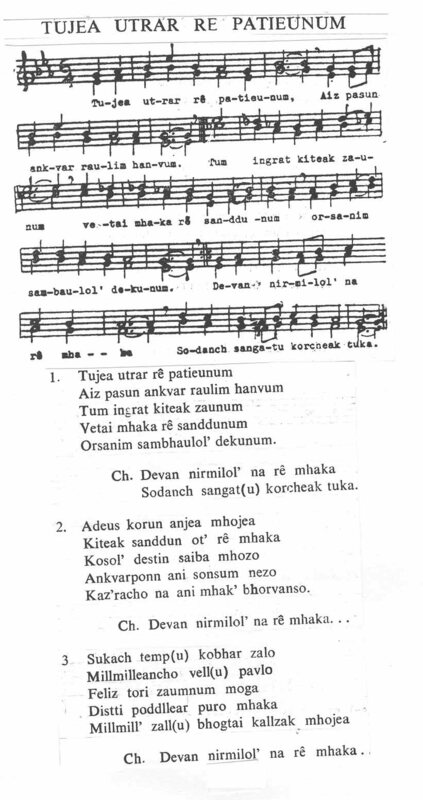 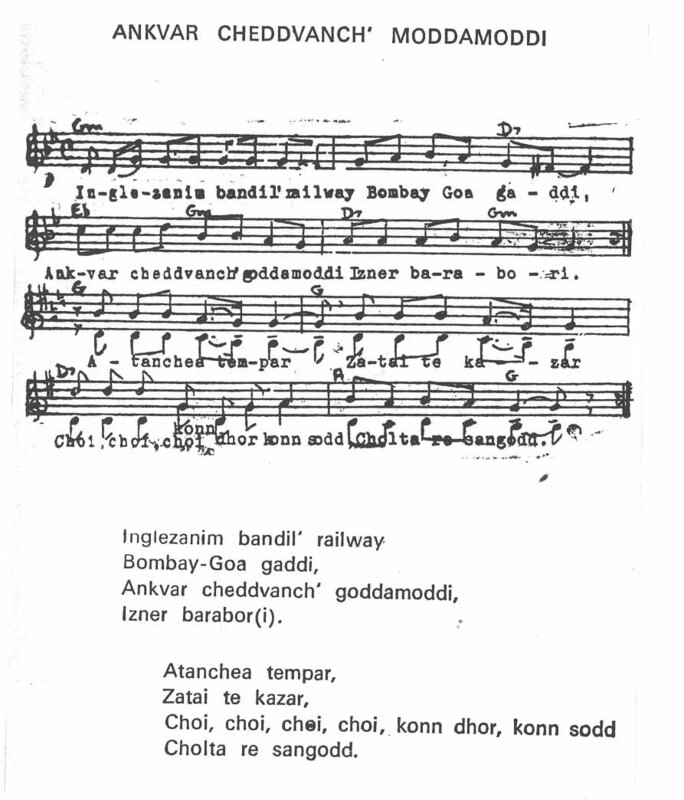 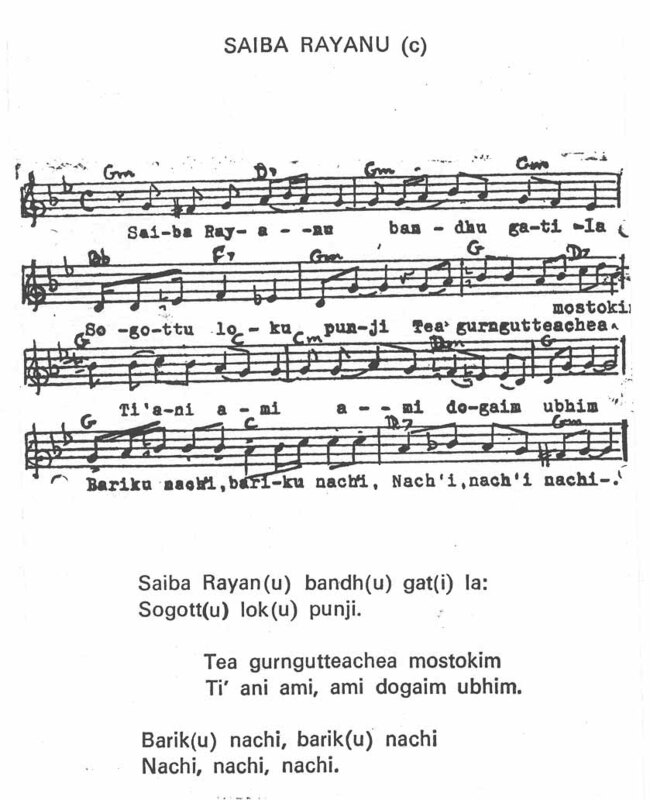 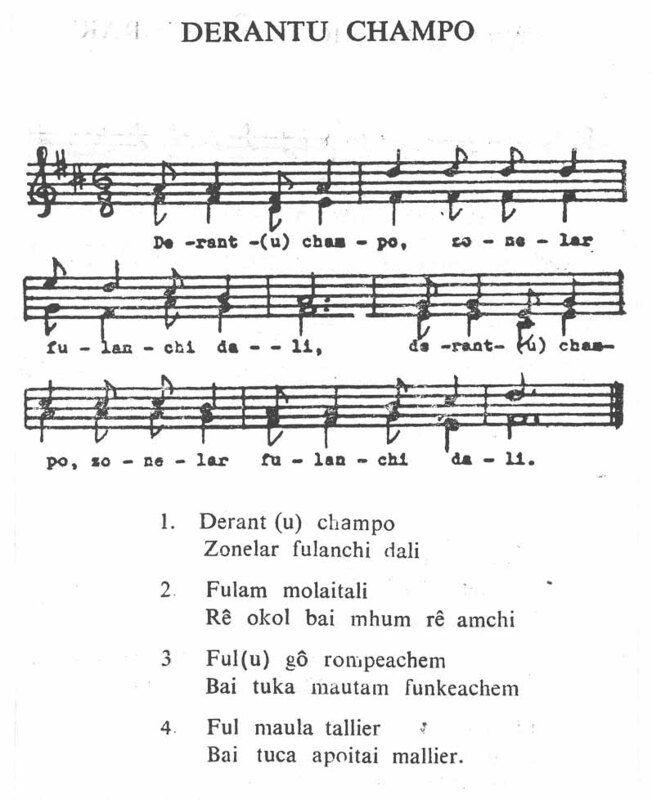 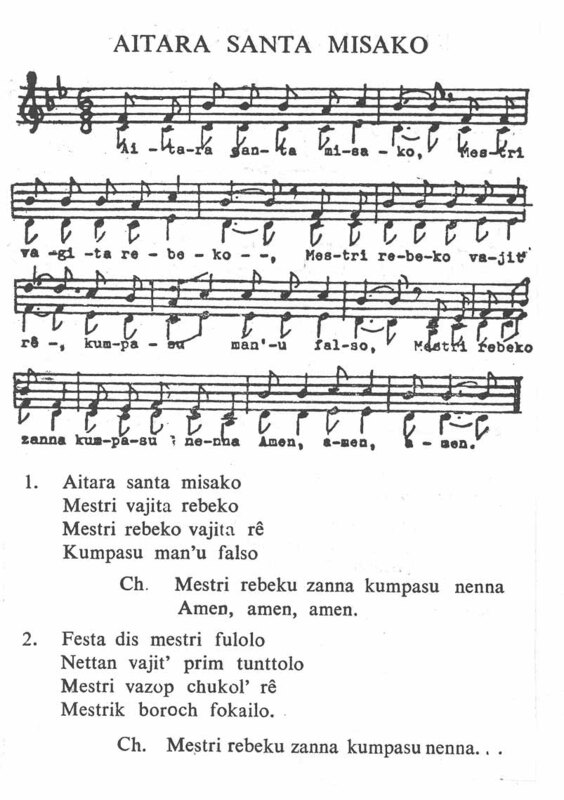 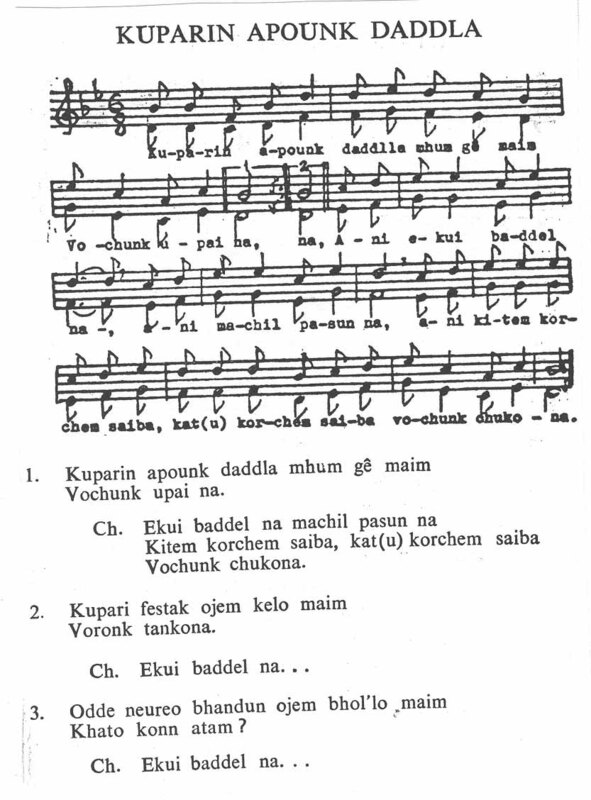 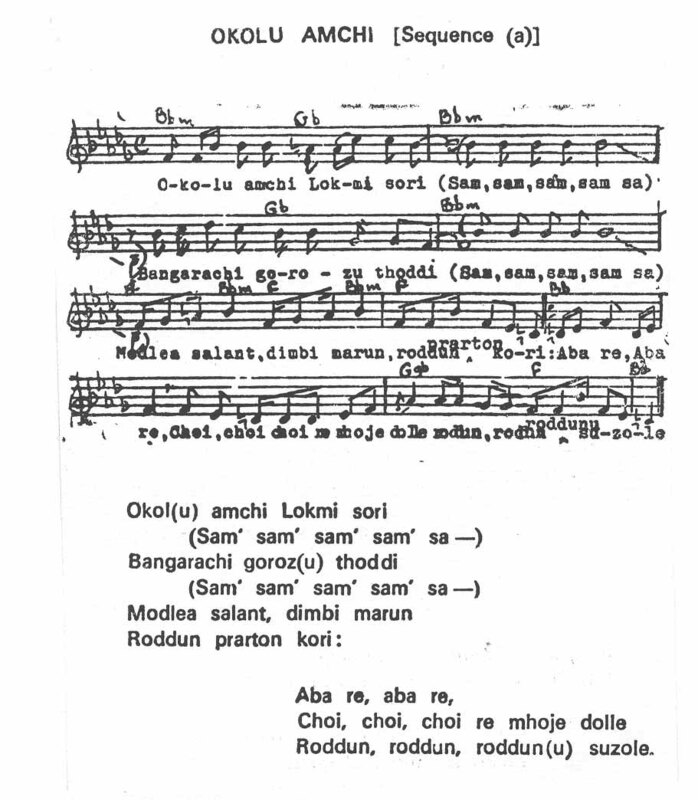 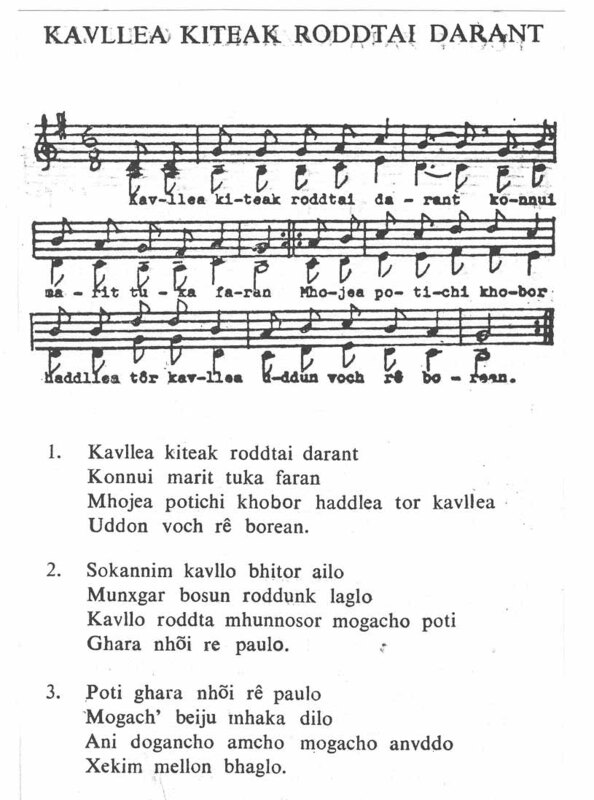 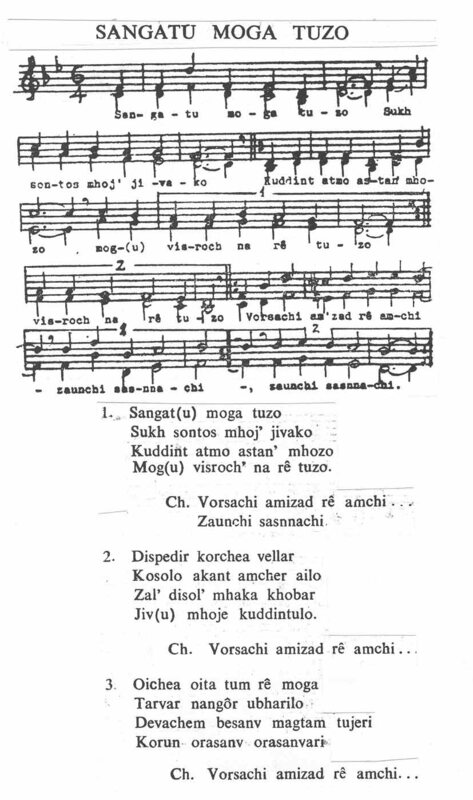 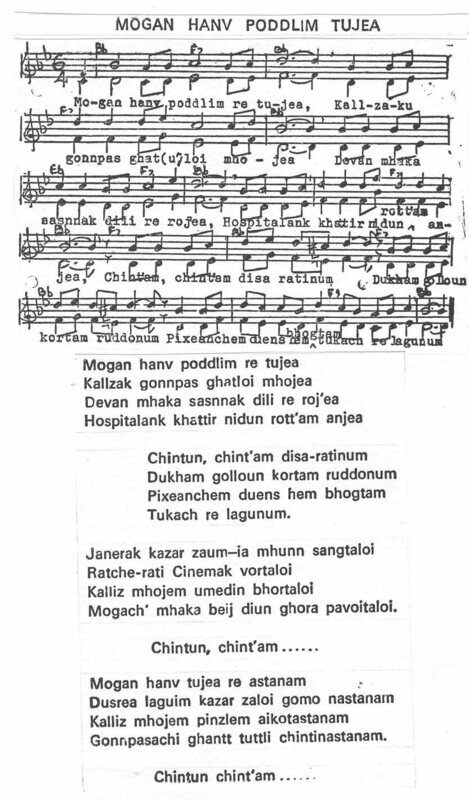 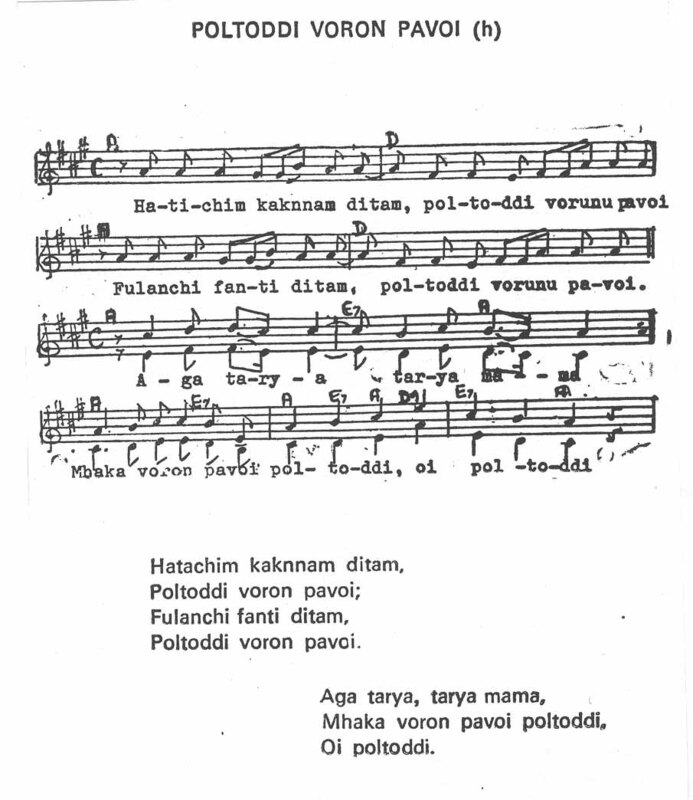 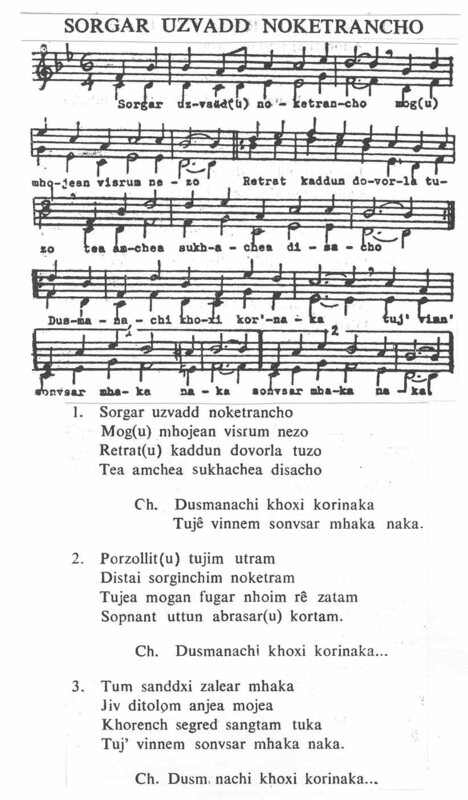 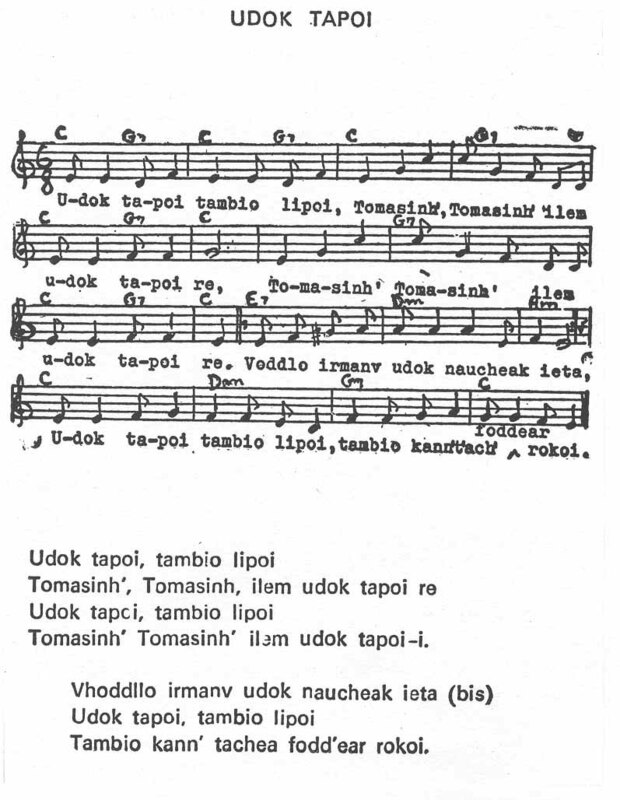 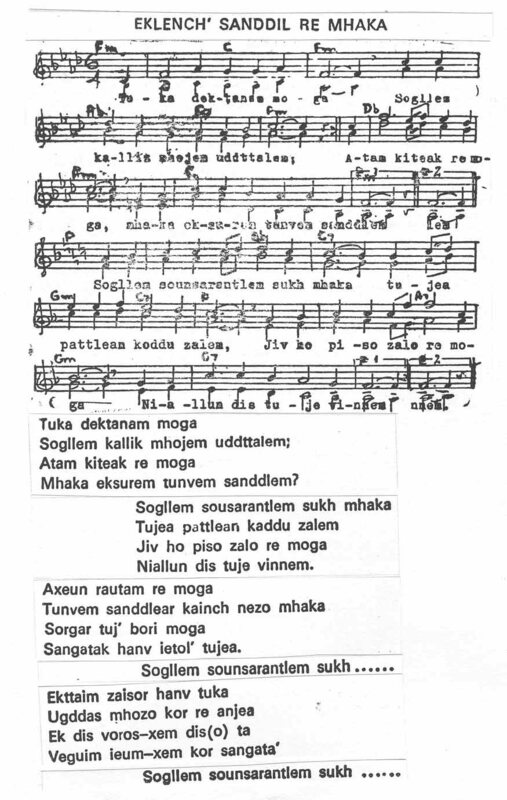 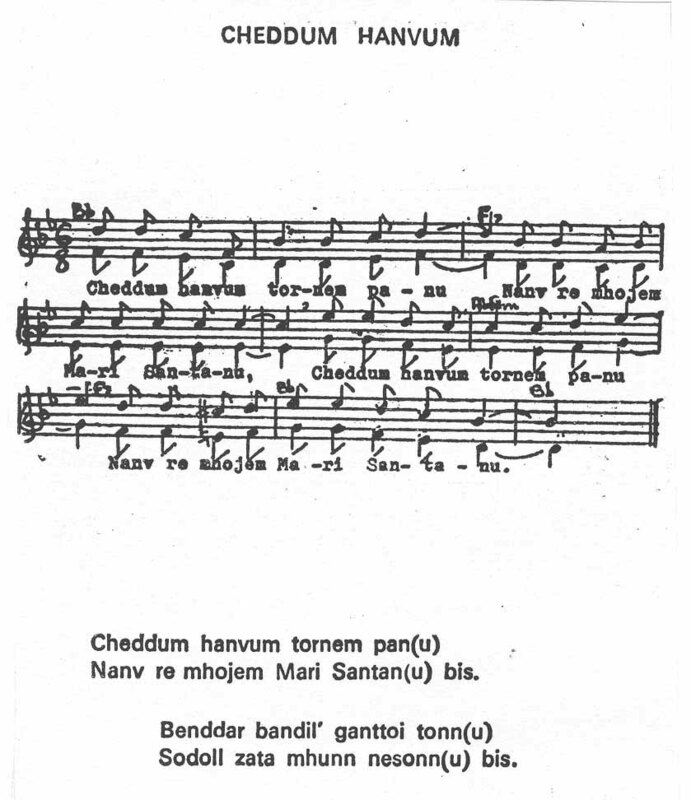 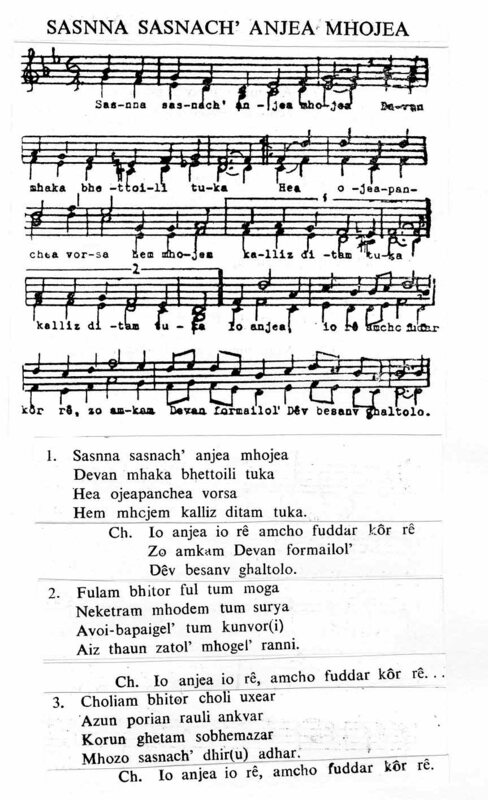 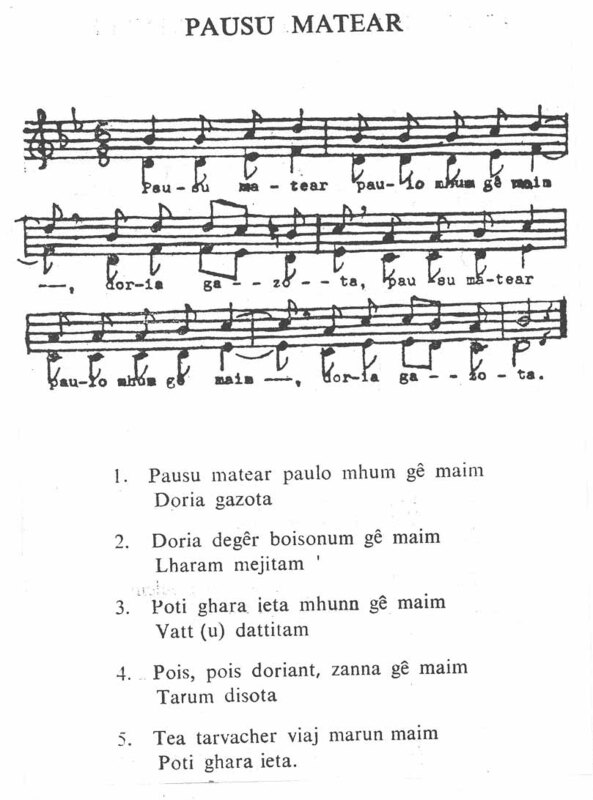 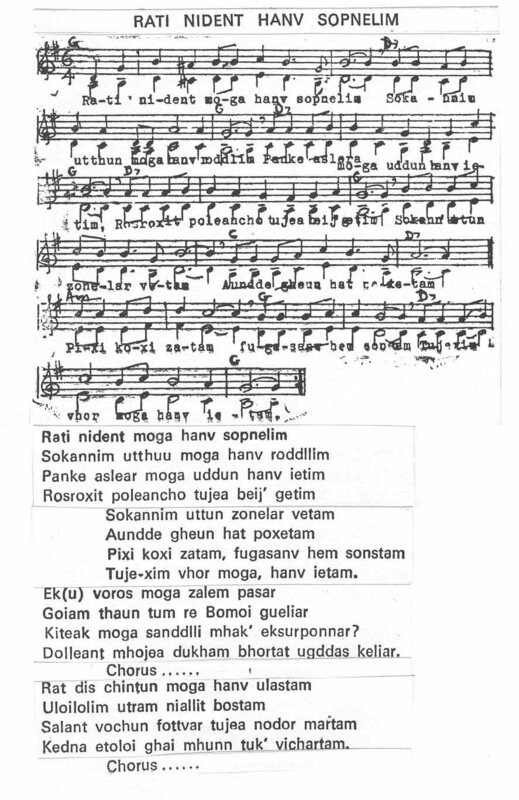 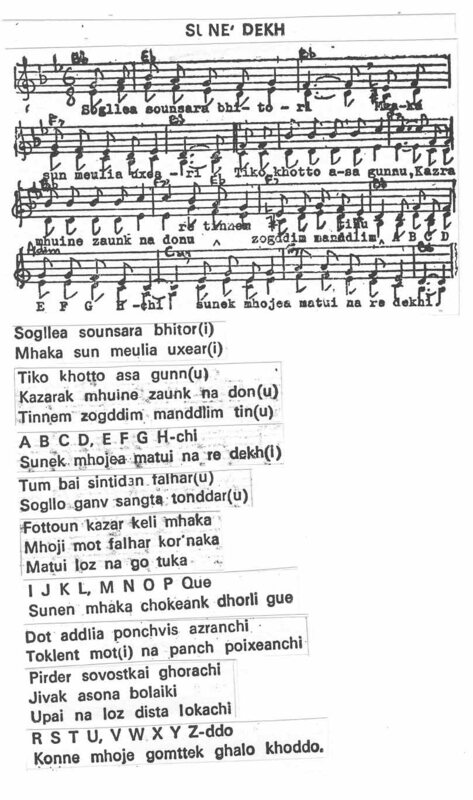 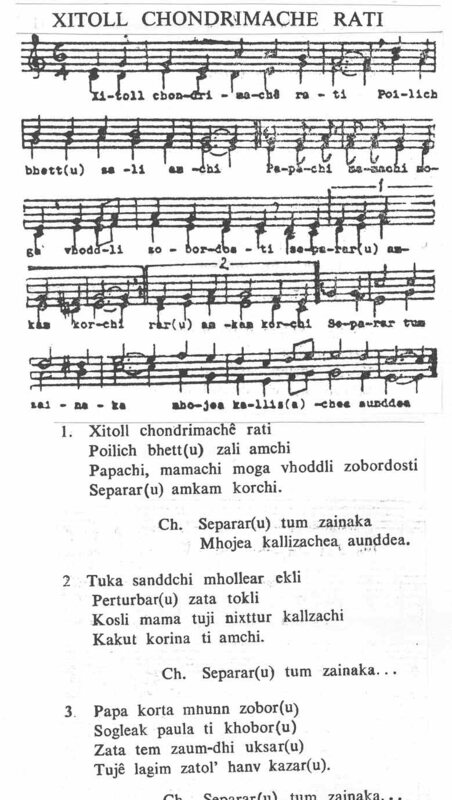 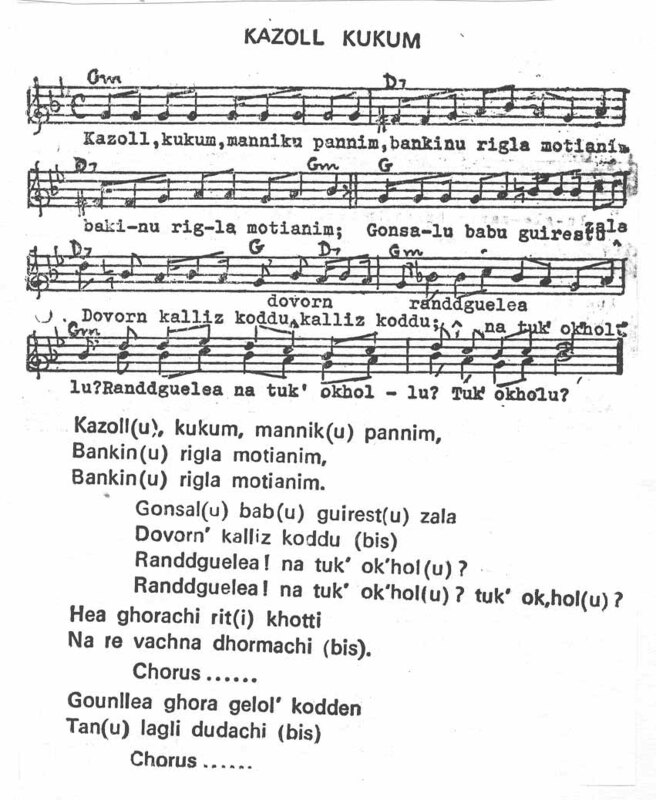 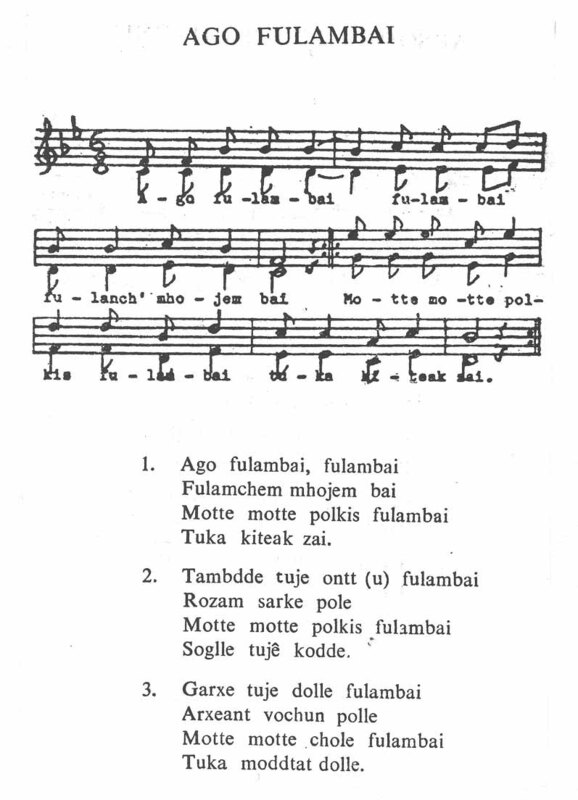 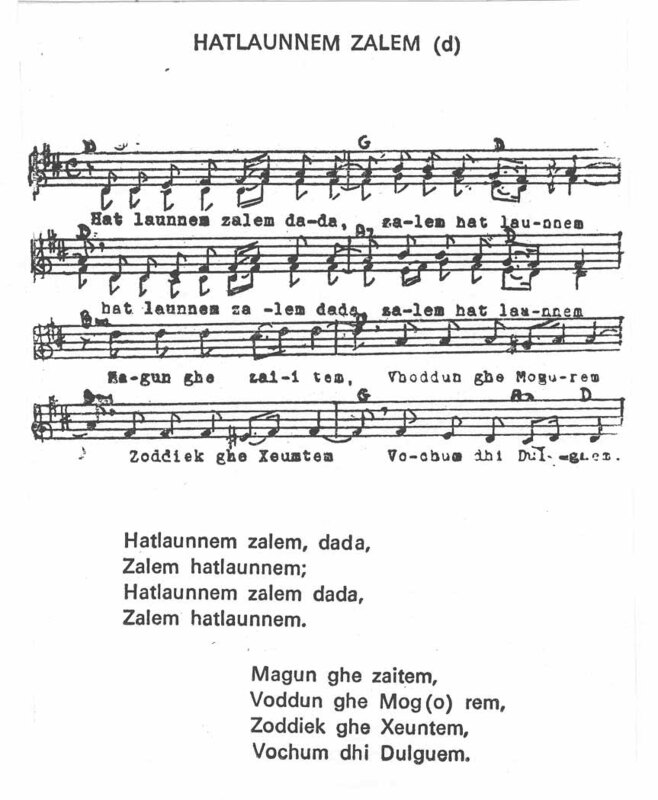 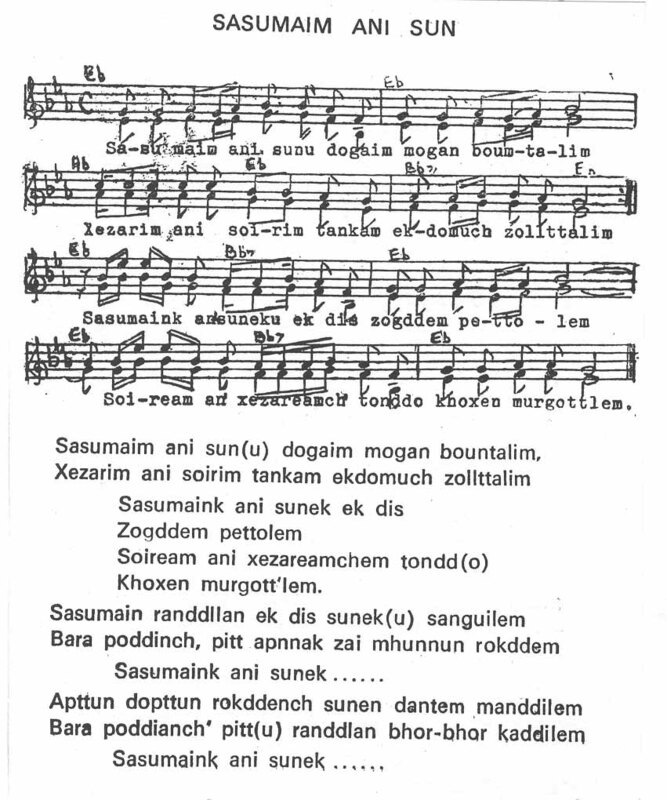 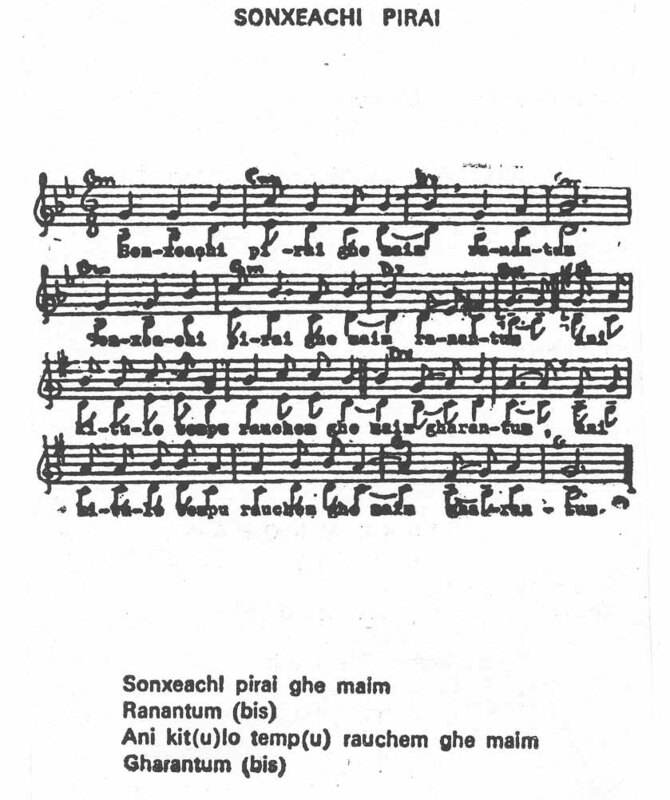 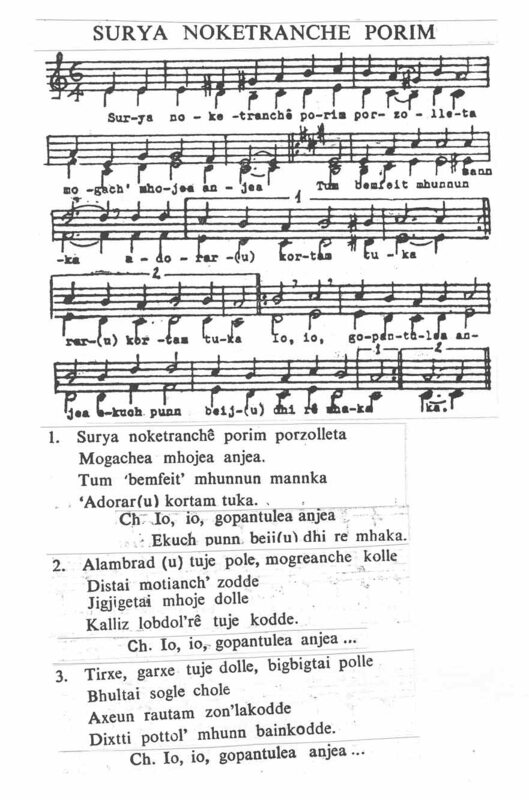 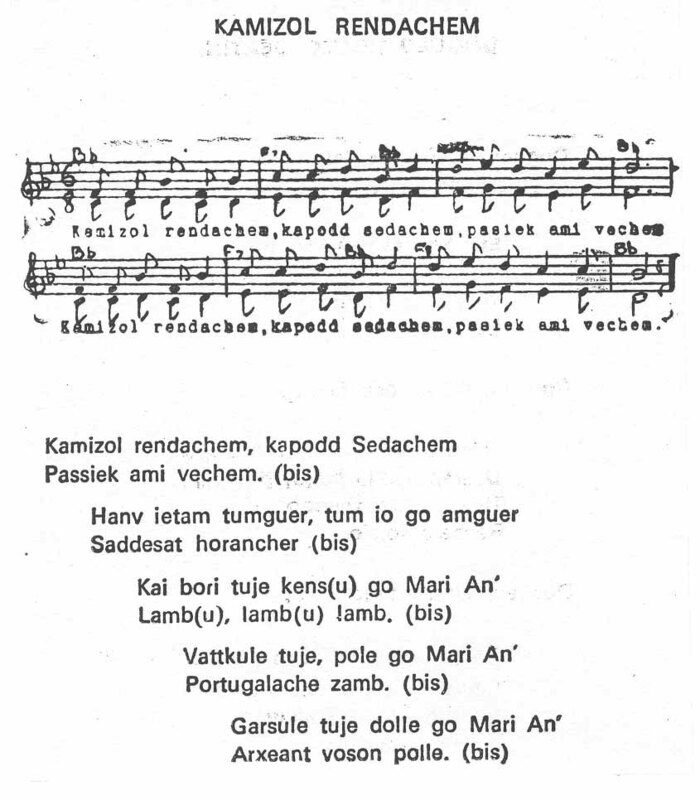 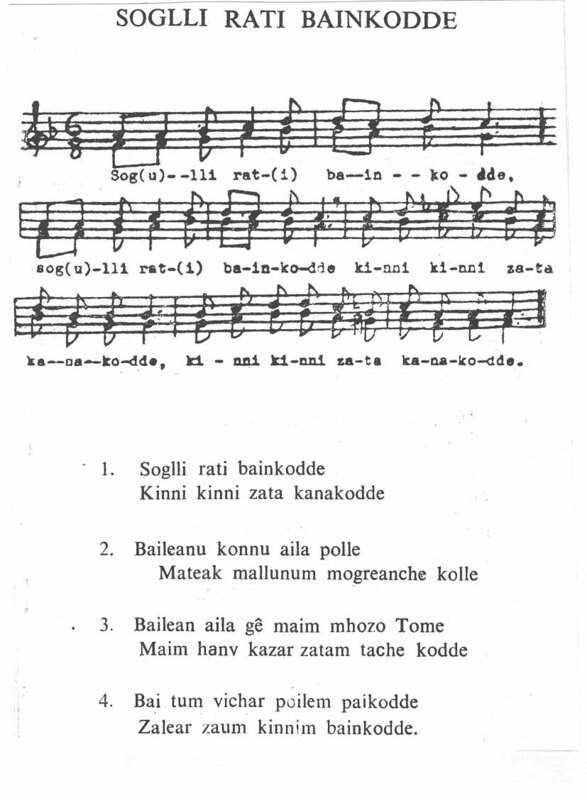 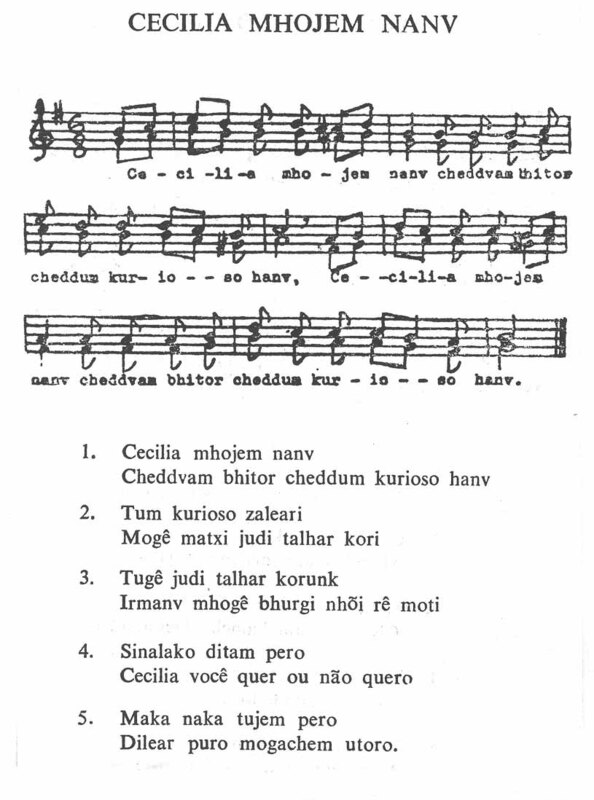 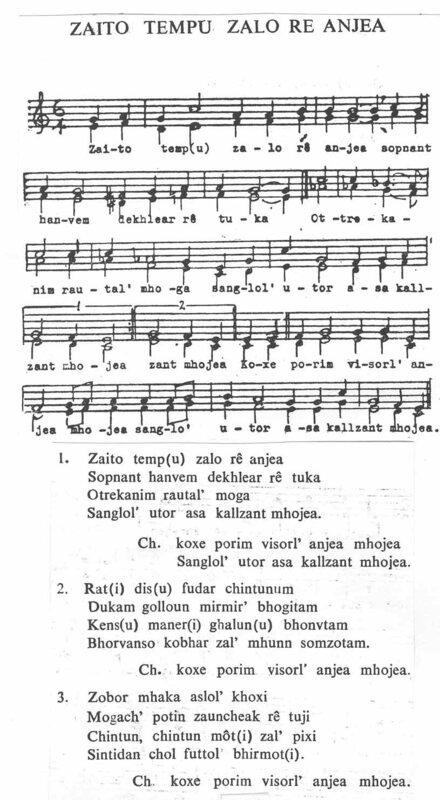 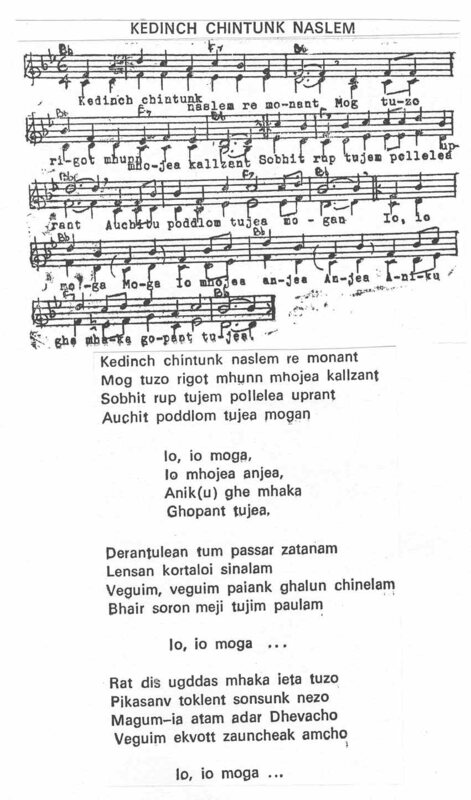 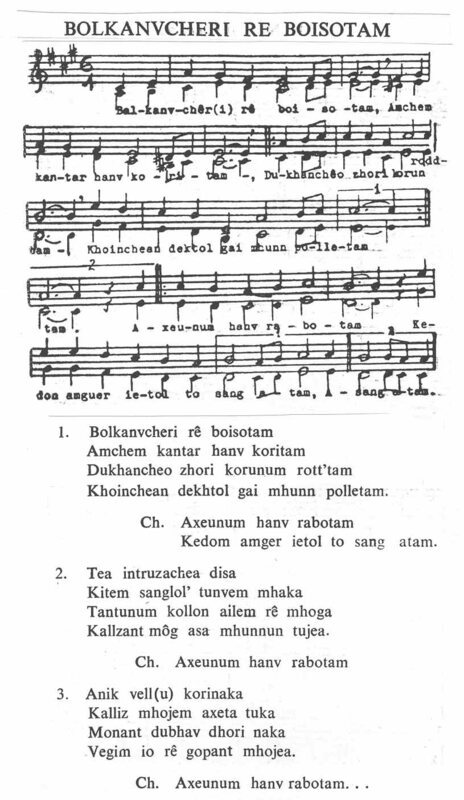 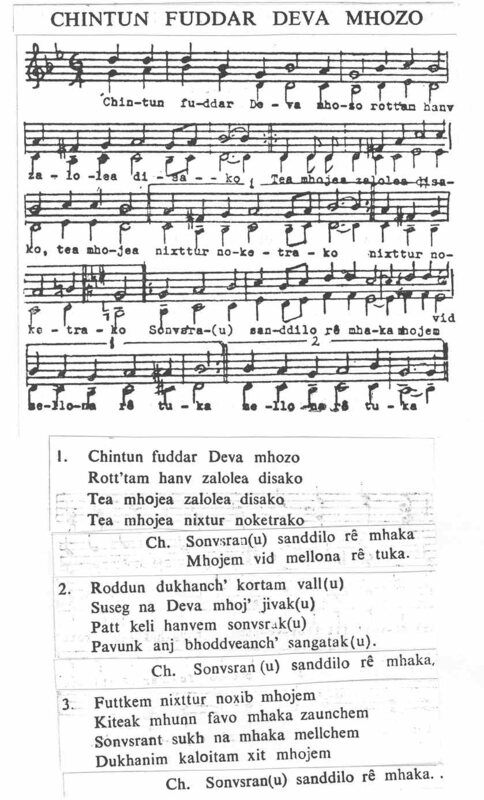 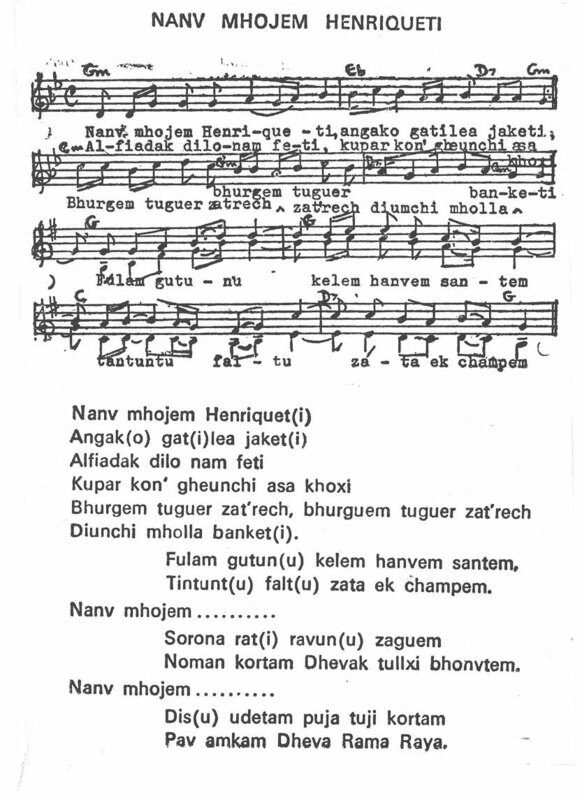 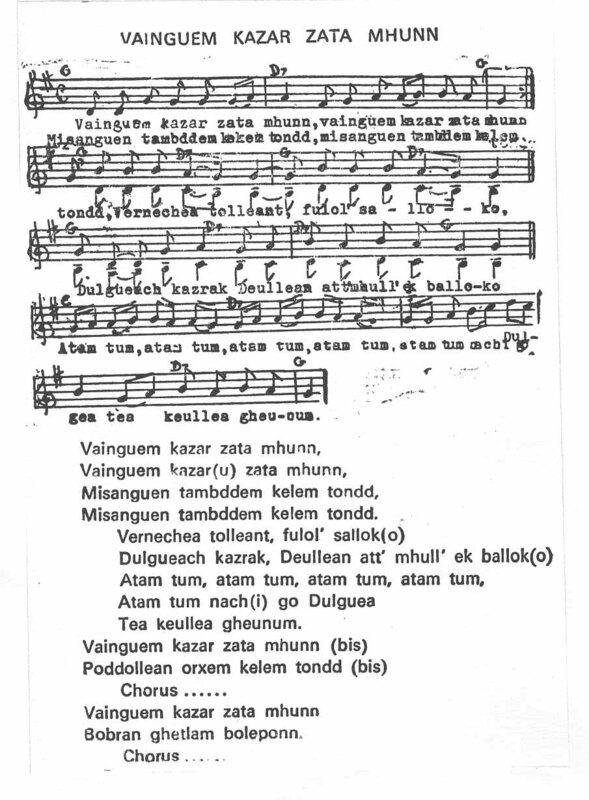 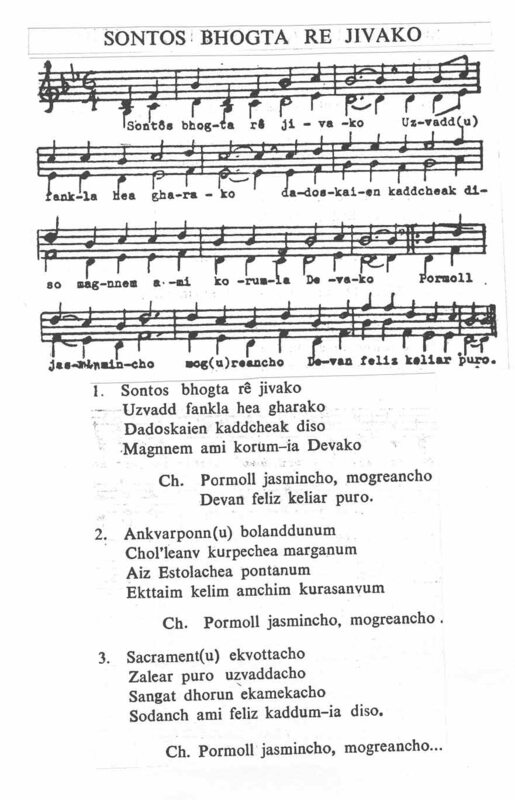 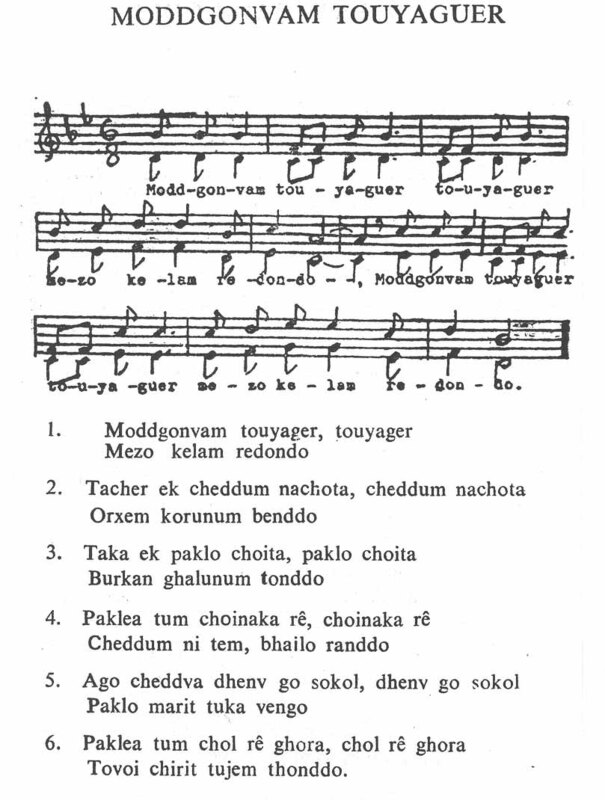 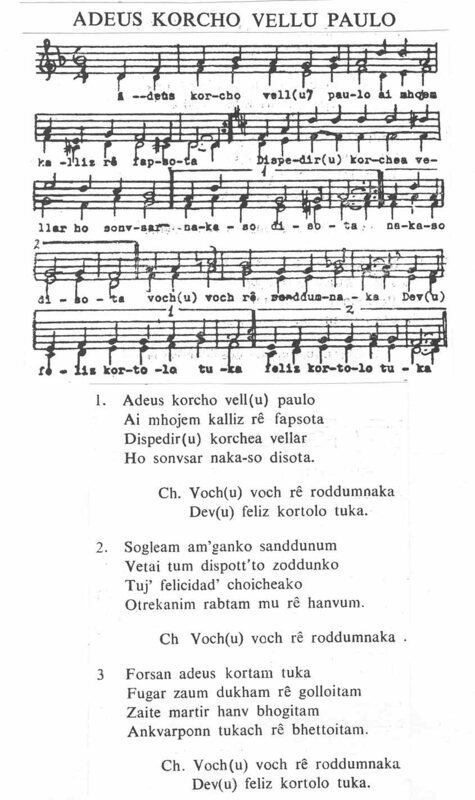 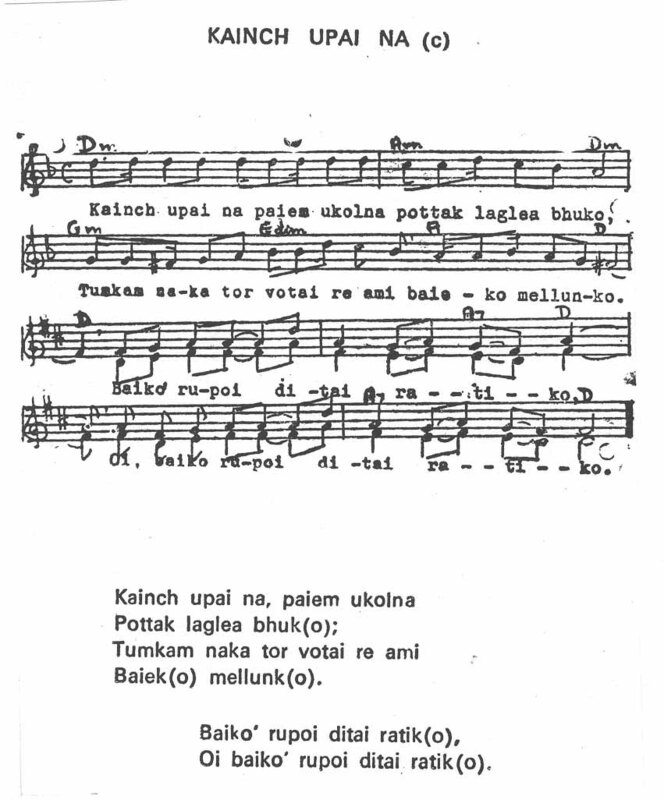 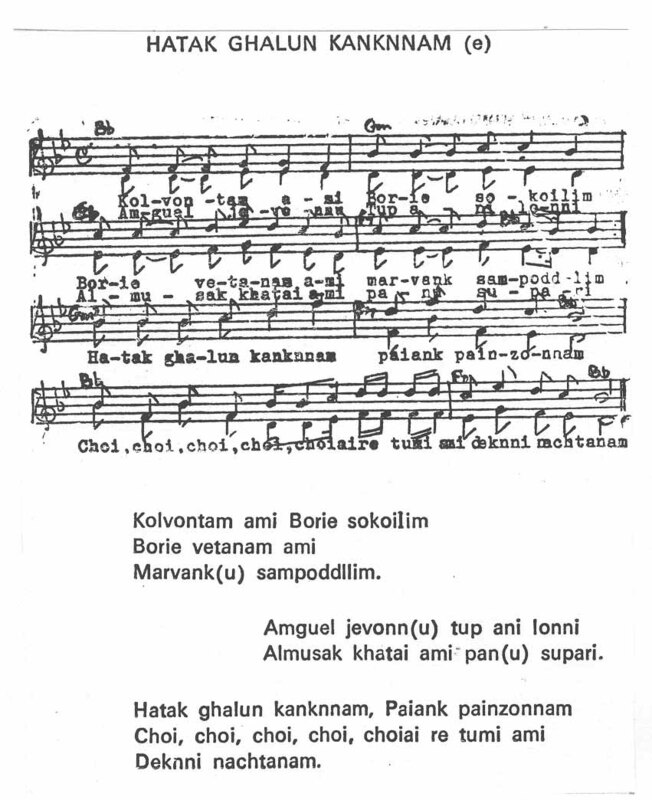 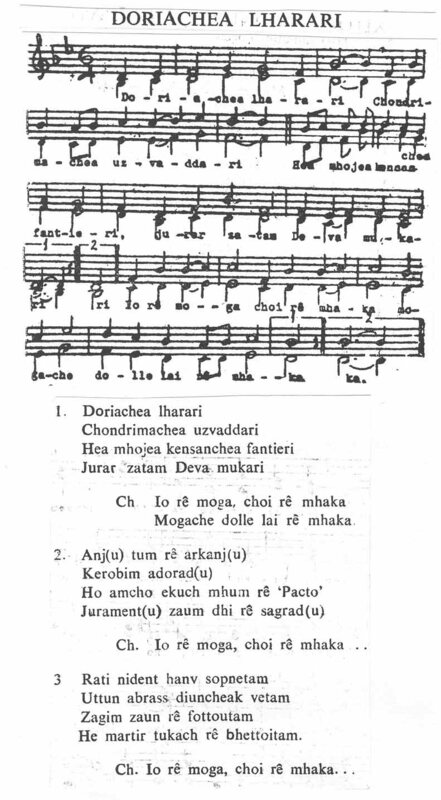 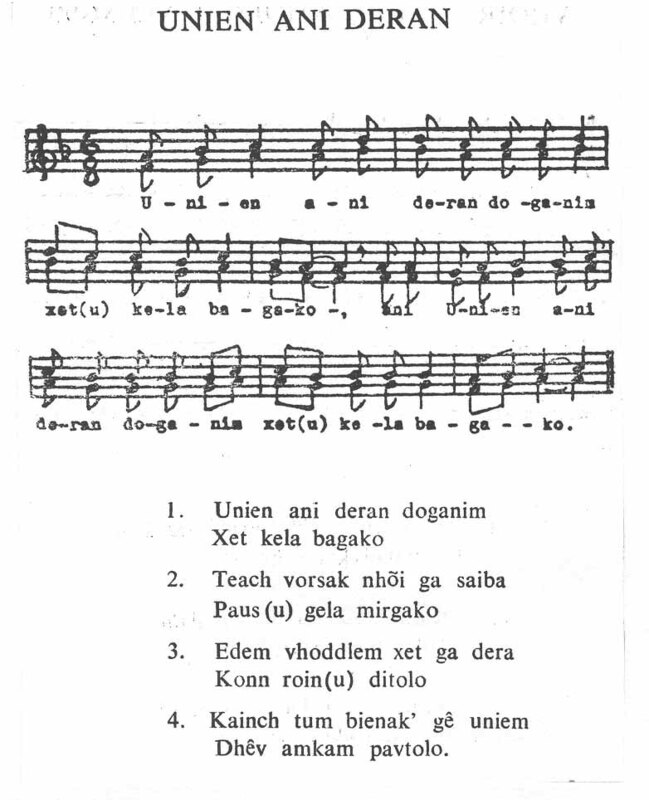 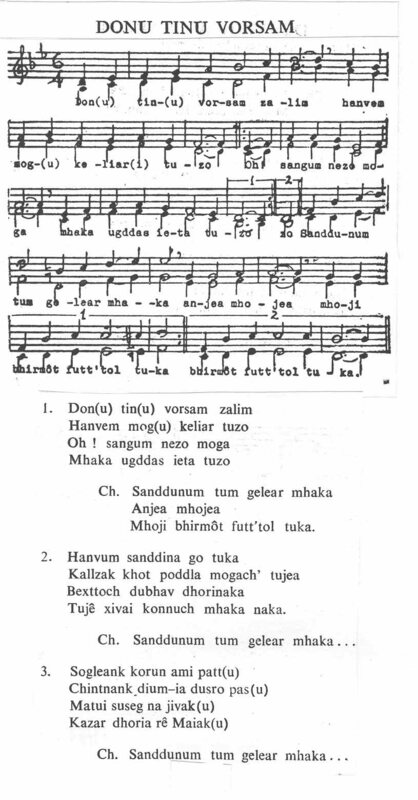 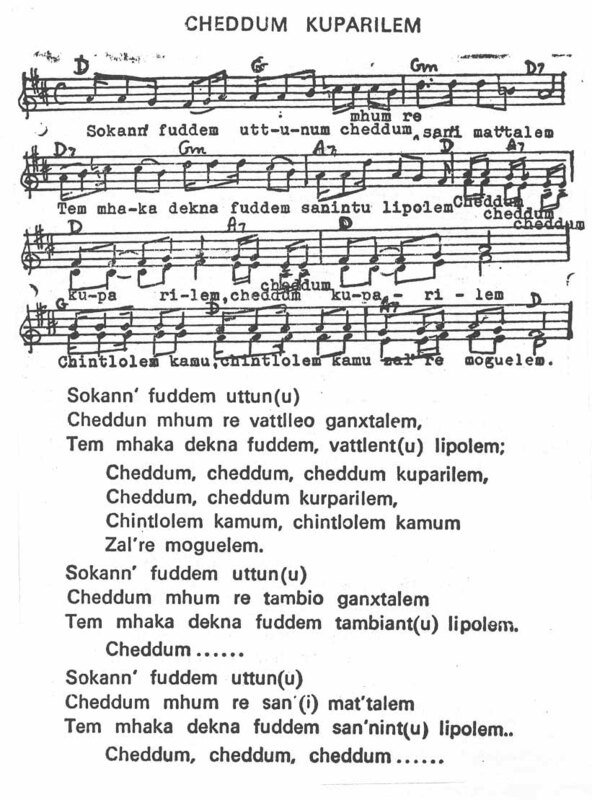 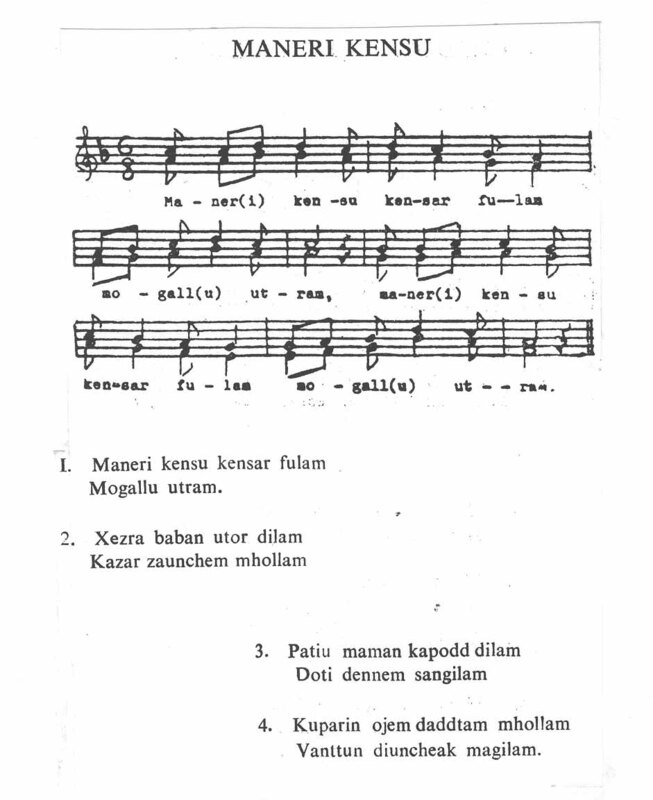 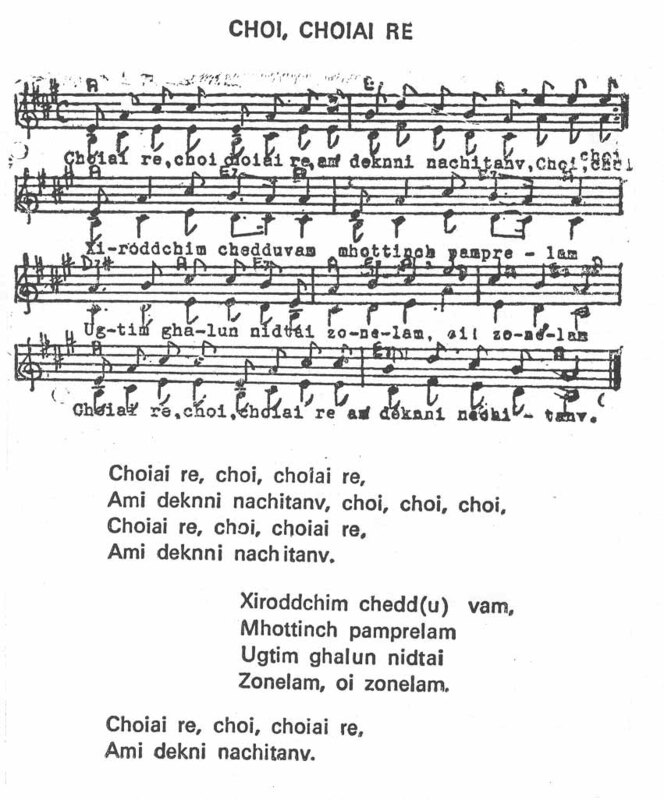 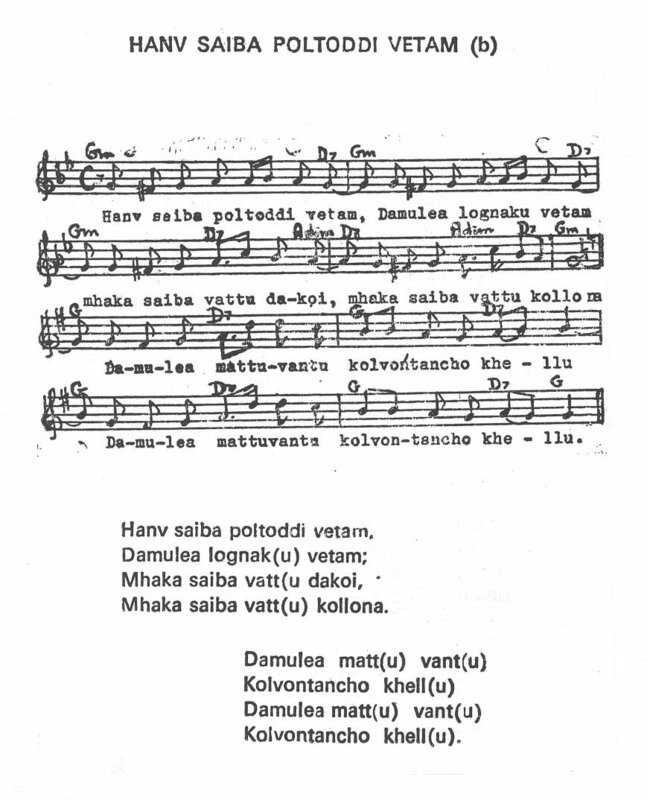 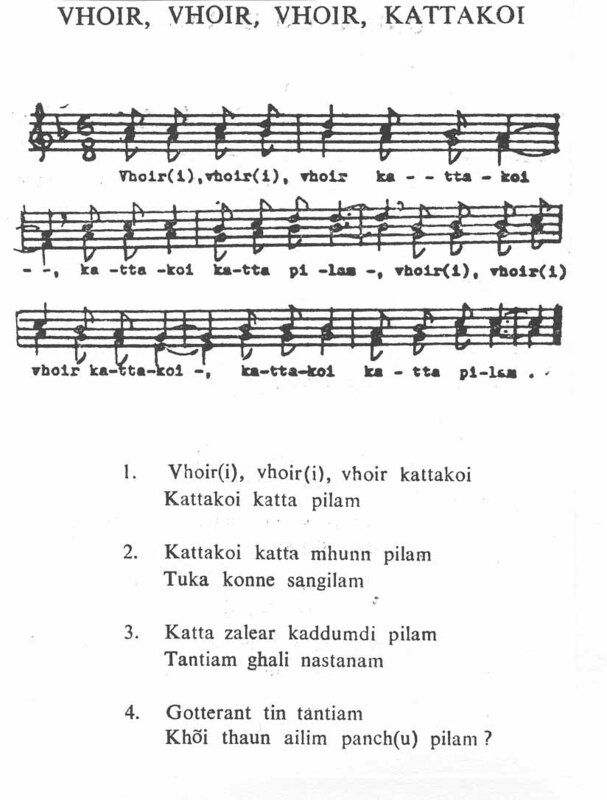 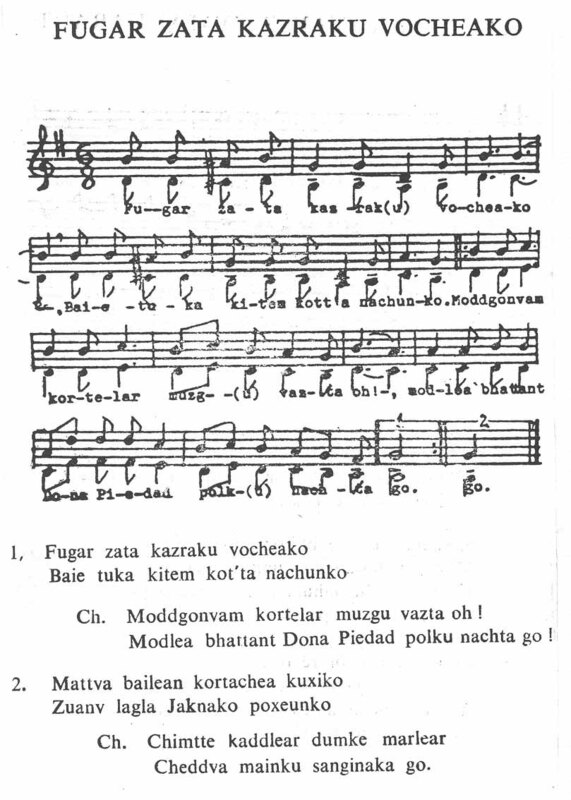 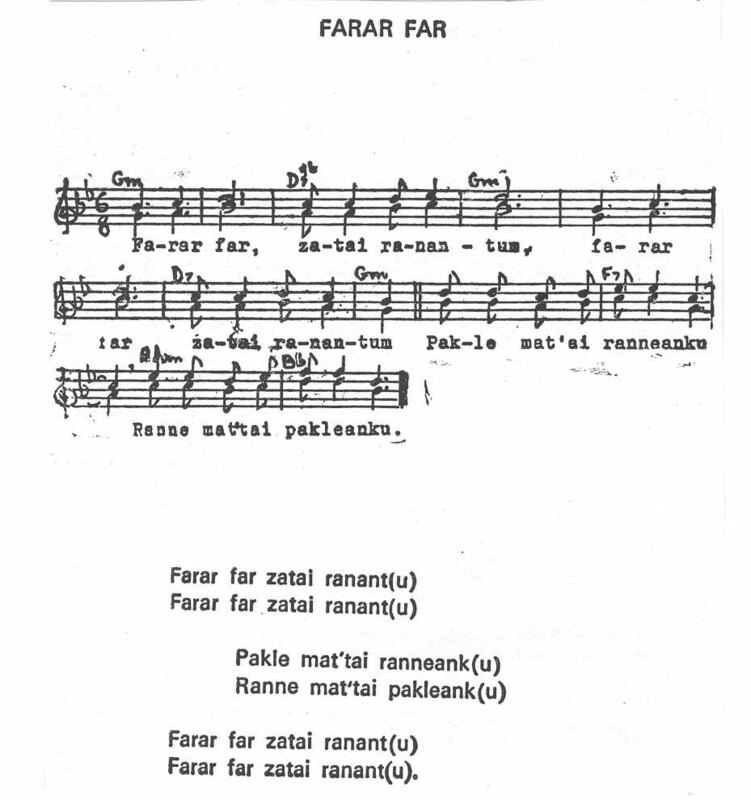 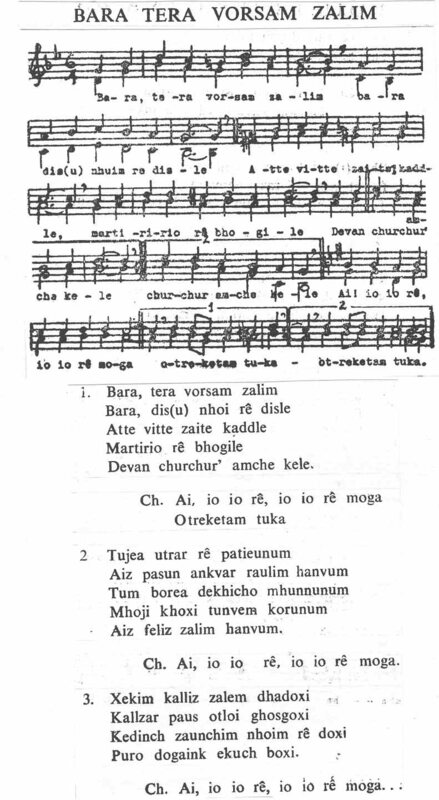 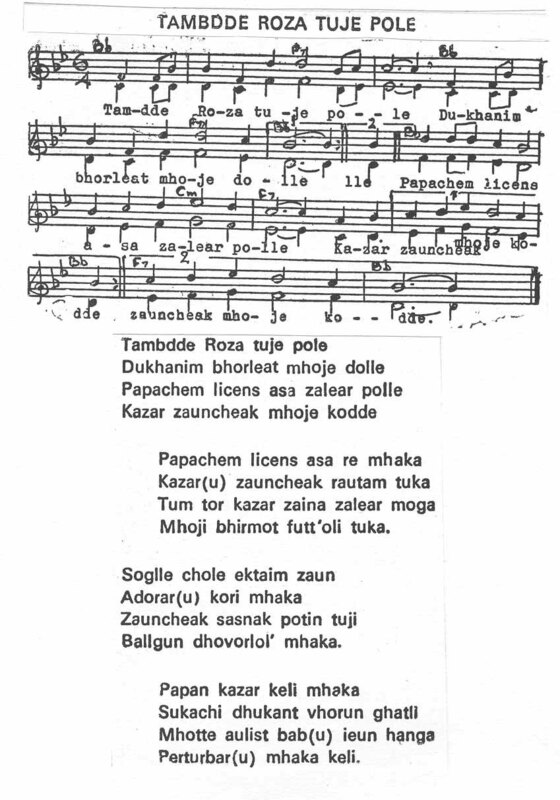 ---Religious hymns in Konkani, other Indian languages and Latin, e.g. 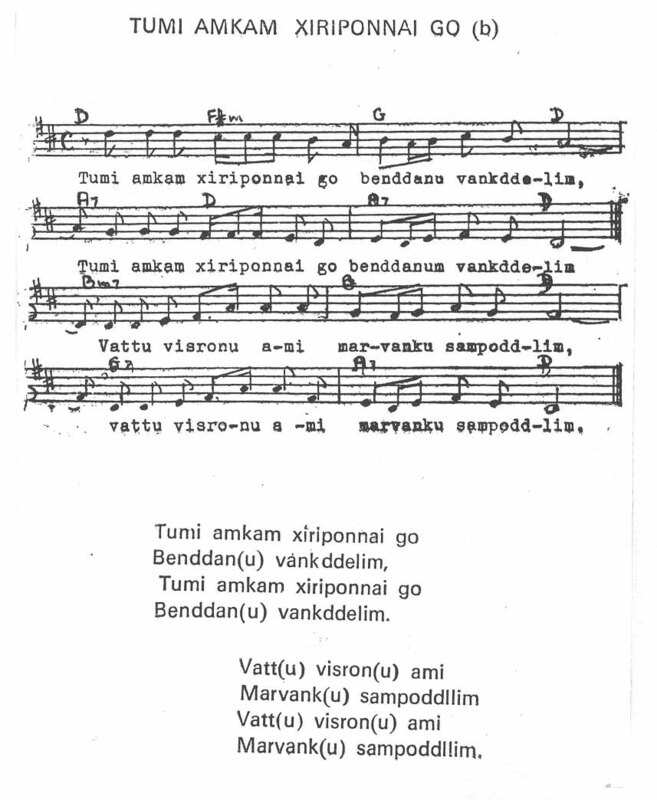 Sam Fransisku Xaviera, Saranam, Salve Regina etc. 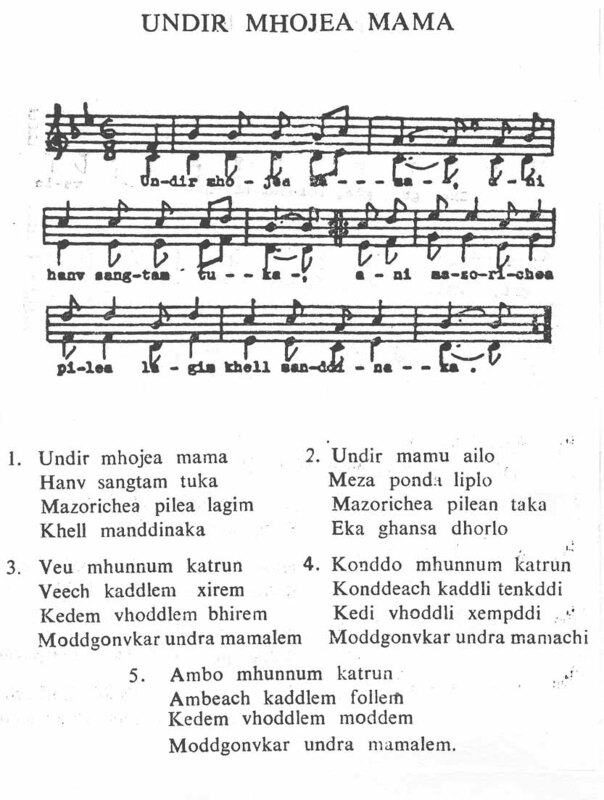 ---Konkani folklore songs e.g. 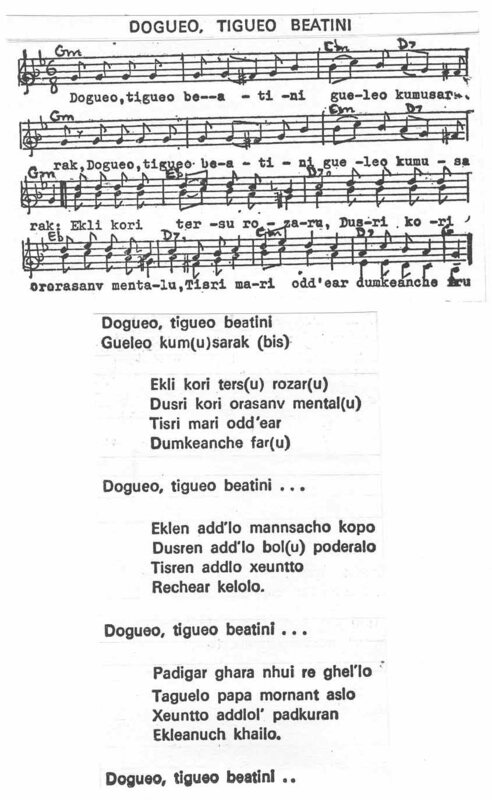 Dogi Tegi Beatini. 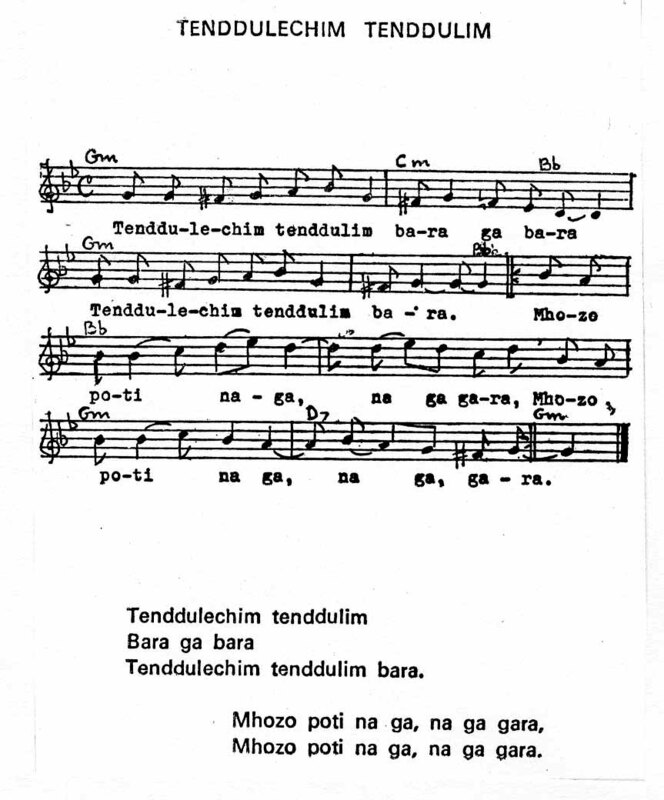 ---Articles on musicology in various periodicals e.g. 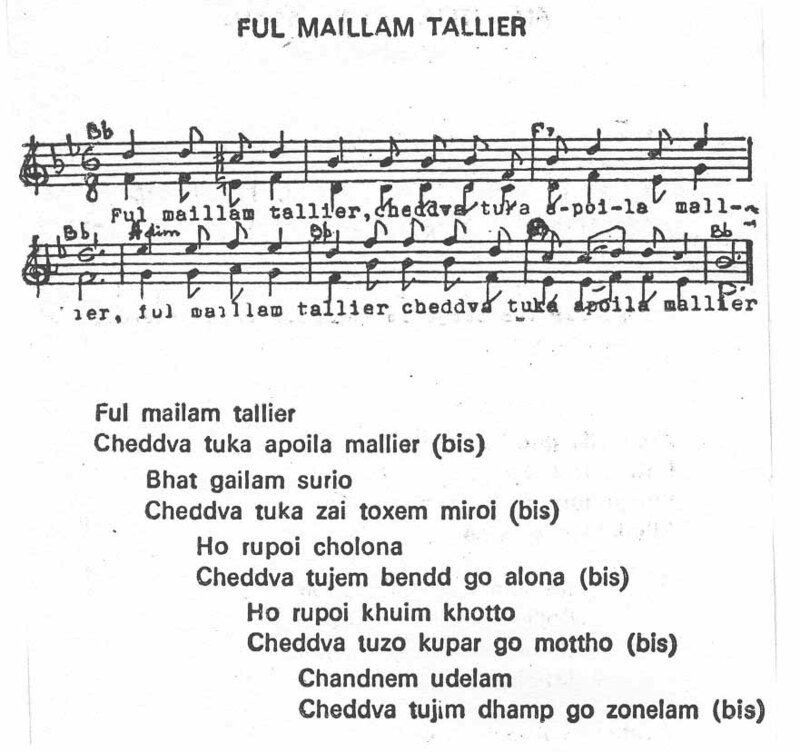 “Boletim” of the Institute Menezes Braganza and newspapers..
---Text books for music as an Optional Subject for Standards VIII to XII under the Goa Board for Secondary and Higher Secondary Education. 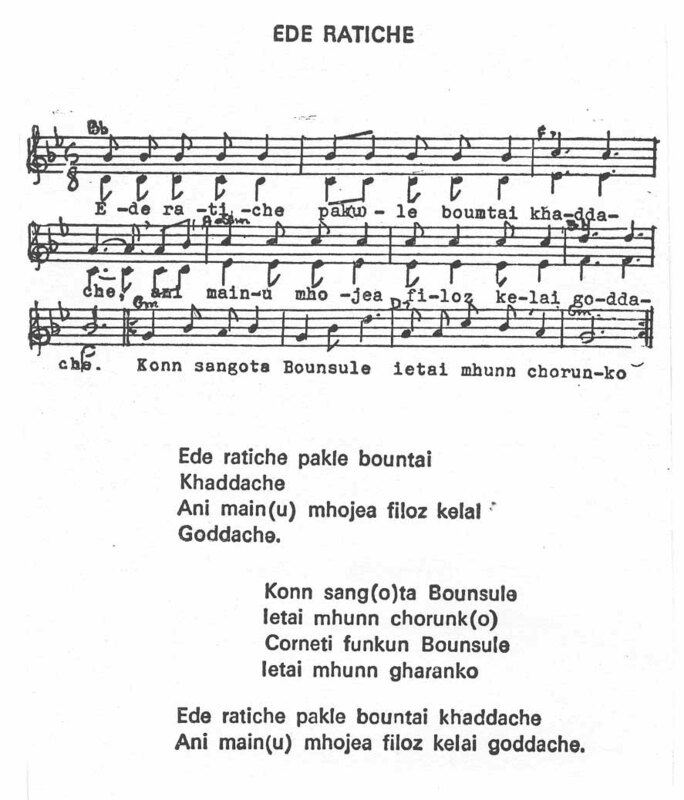 ----Western, Indian (Classical) and Goan Choral Music. 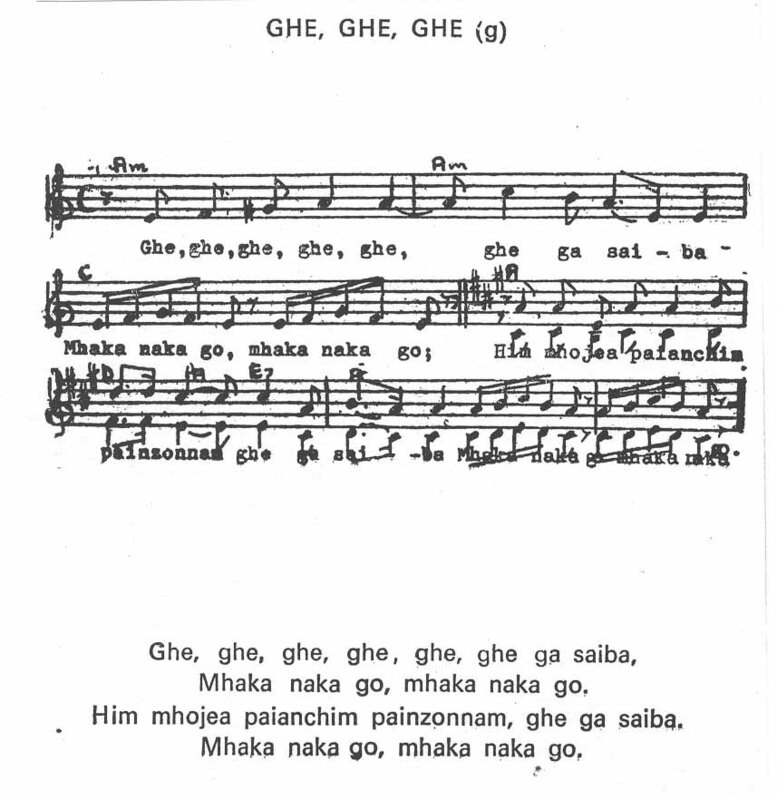 ----Goa Philharmonic Choir: in Goa and other states of India, in Rome, Lisbon, London, Lourdes, etc. 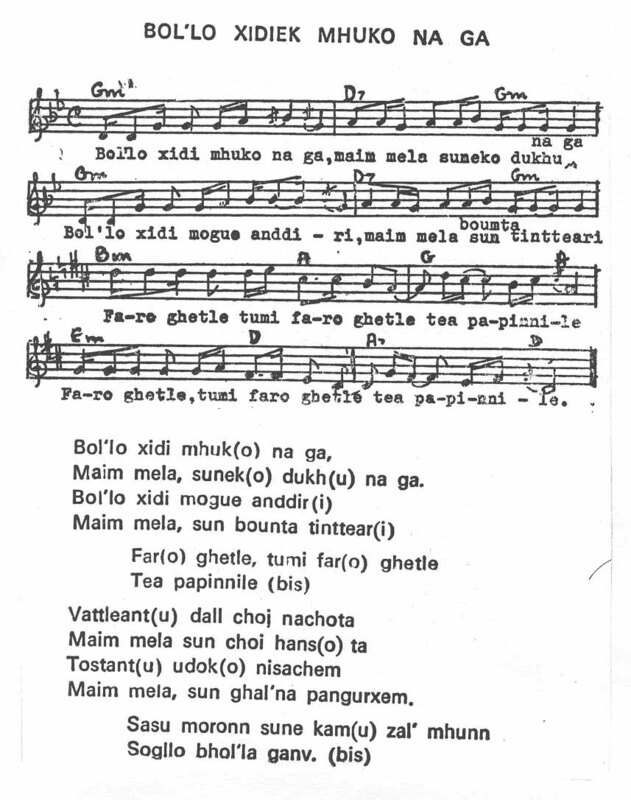 His mark of creativity was seen in blending Goan, Indian and Western musical forms to create a unique form of music, through which he made his mark in the international music arena. 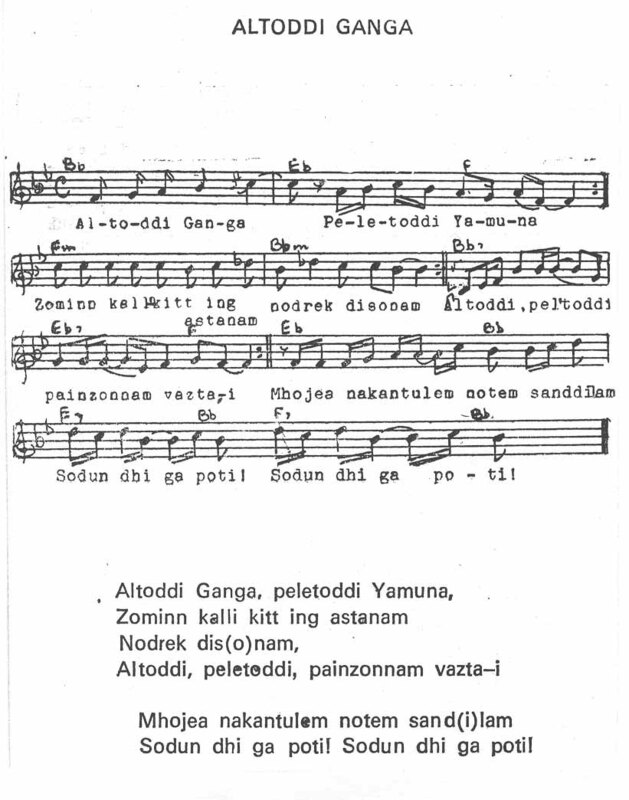 His “Symphony on an Indian Raga” was played by the Boston Symphony Orchestra. 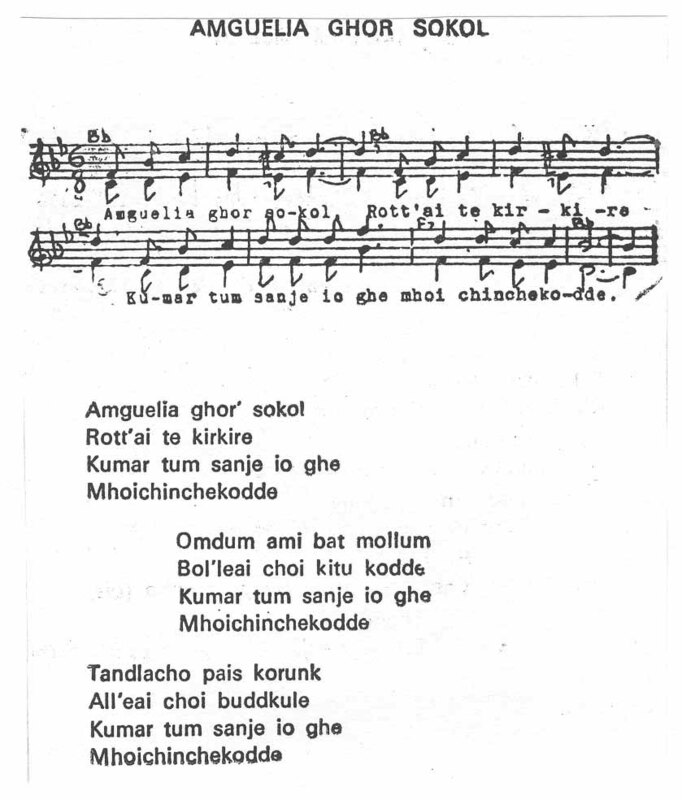 His death took place on January 24, 1997 at Jaslok Hospital, Mumbai due to failure of his kidneys. 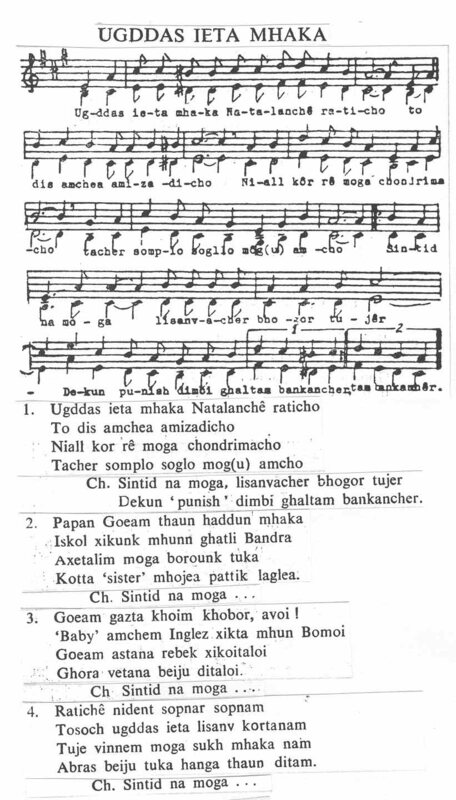 During the early years of evangelization in Goa, it was customary for Portuguese nationals to be godfathers and godmothers, whose surnames were given to the newly baptized, thus replacing the traditional Indian surnames. 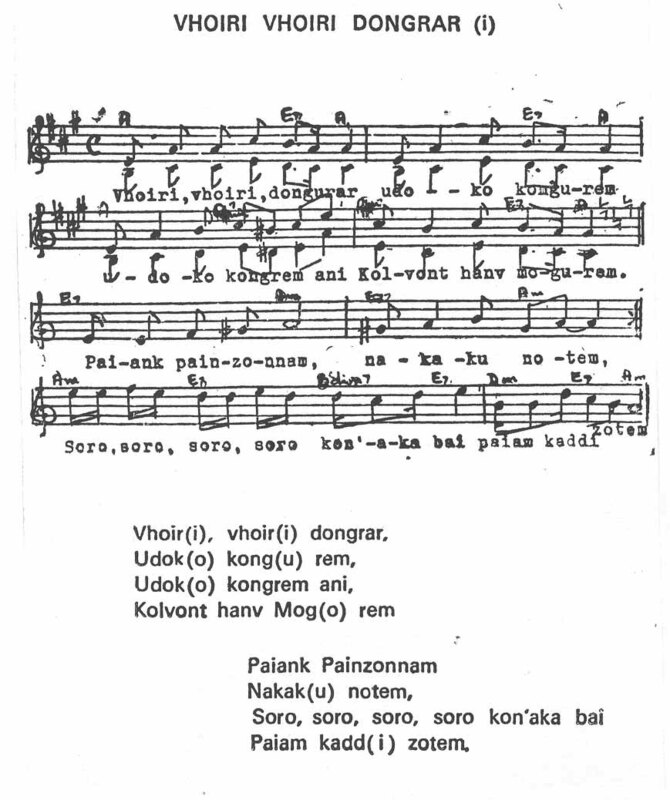 Goans usually have three names: his or her own name, the father´s name and the name of the home village + kar, which means “from”. 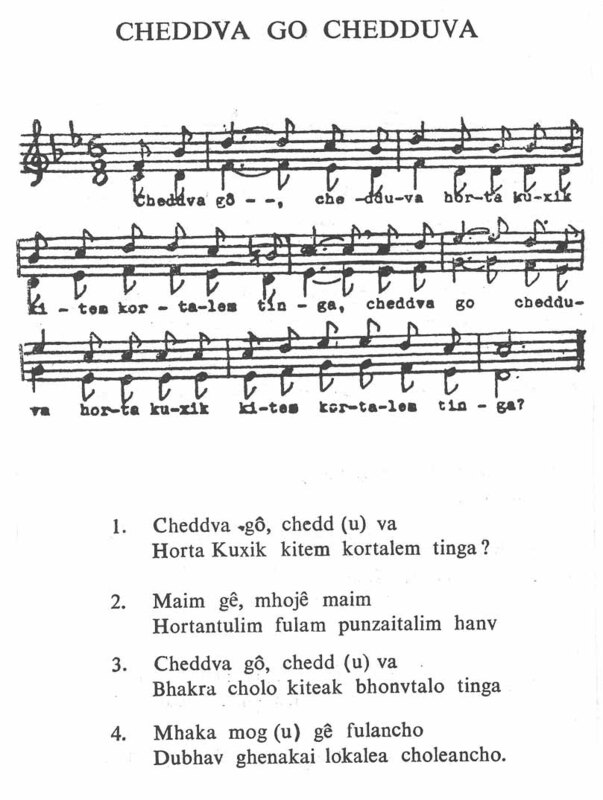 In my case my Konkan-Surname is Chodnakar. 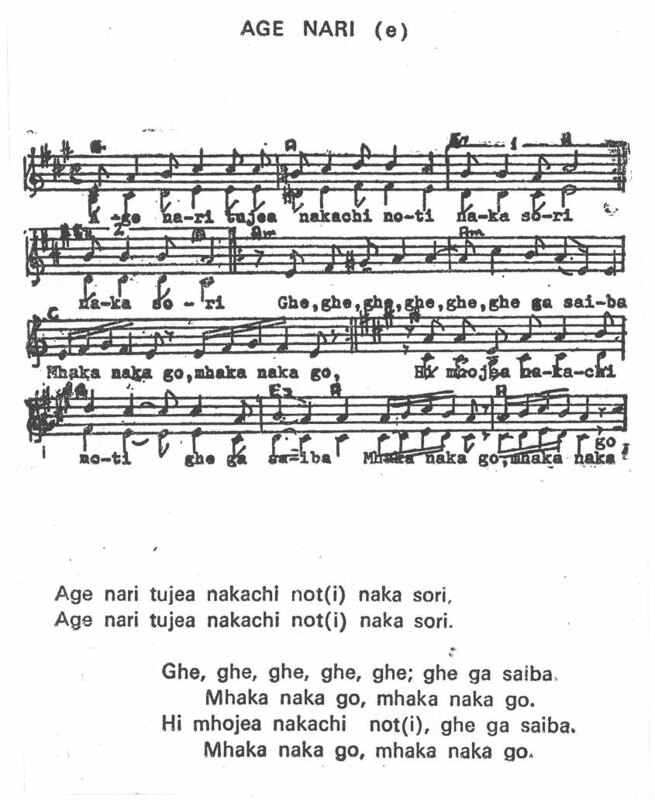 (L. Noronha).